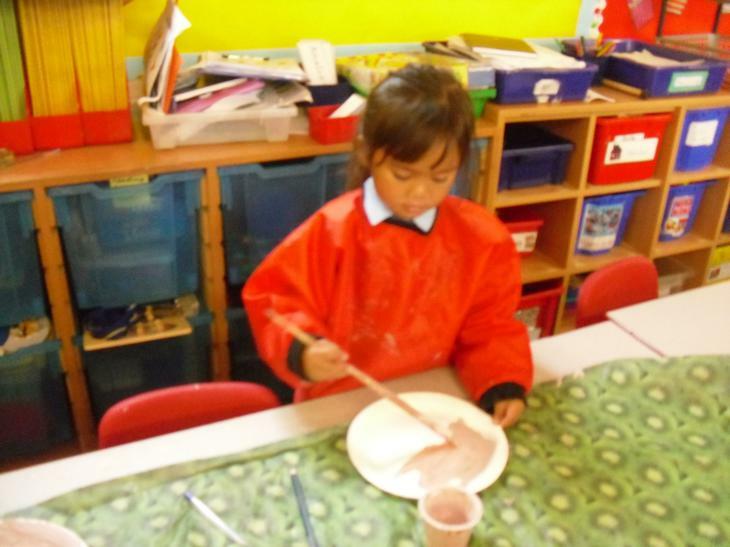 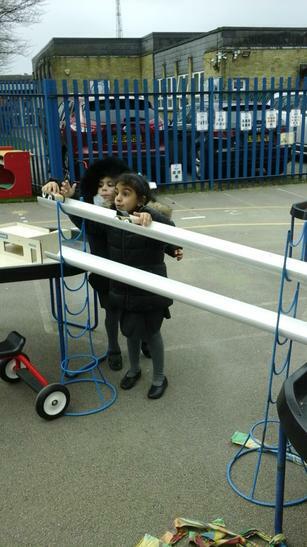 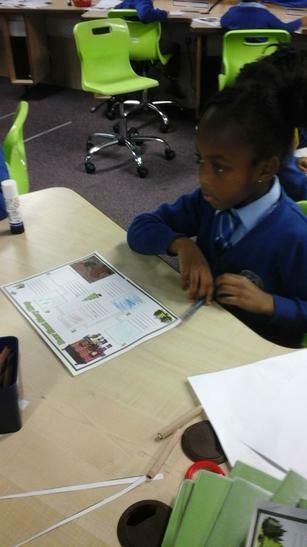 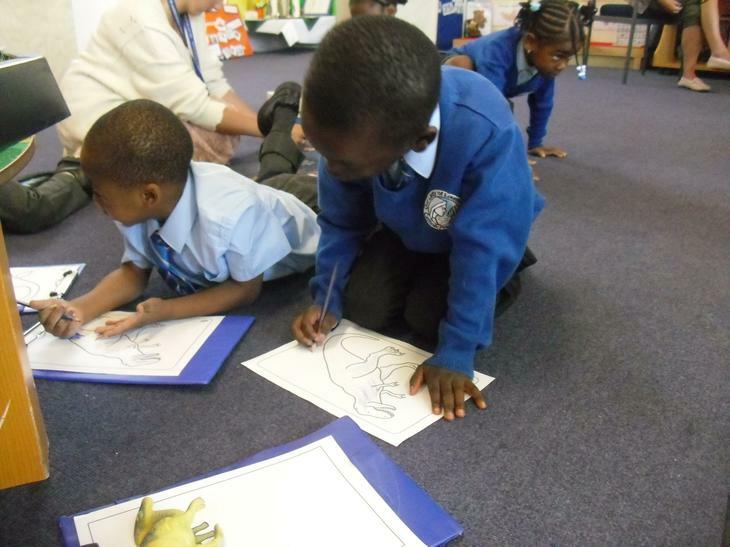 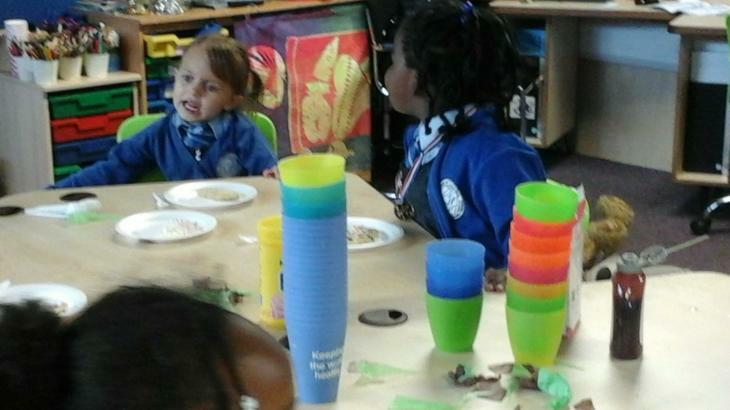 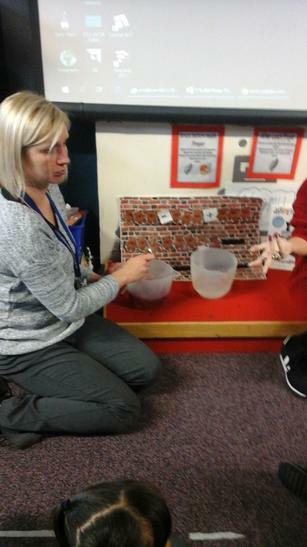 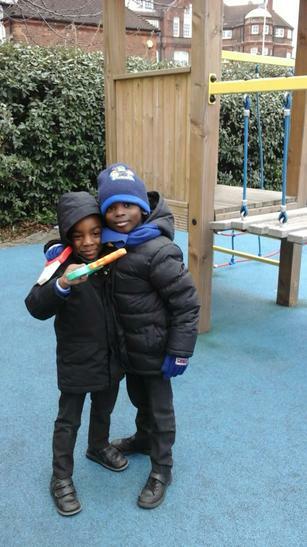 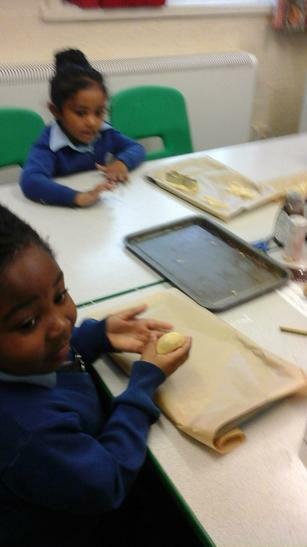 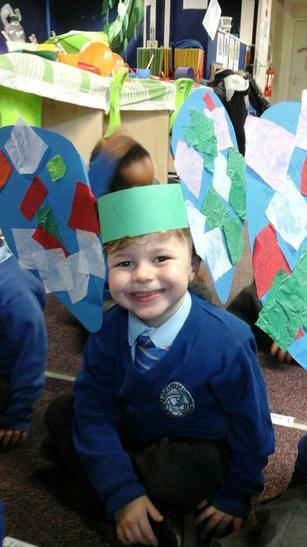 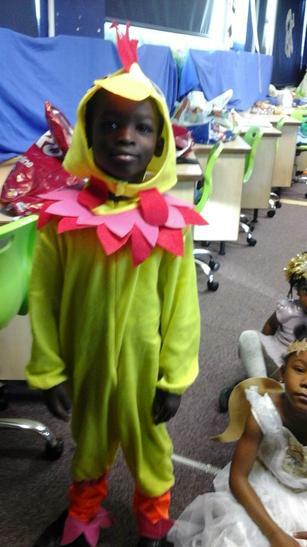 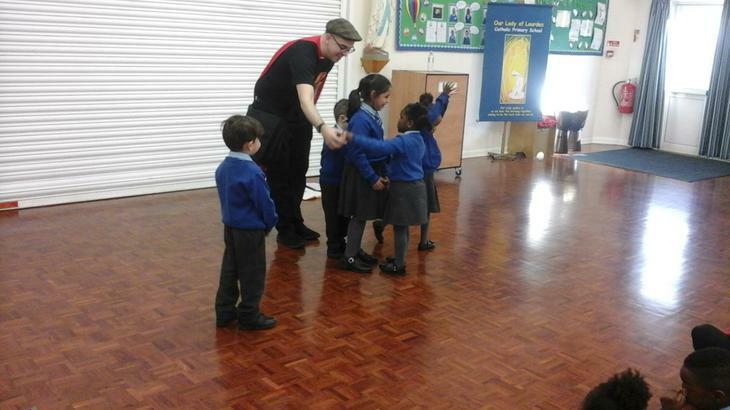 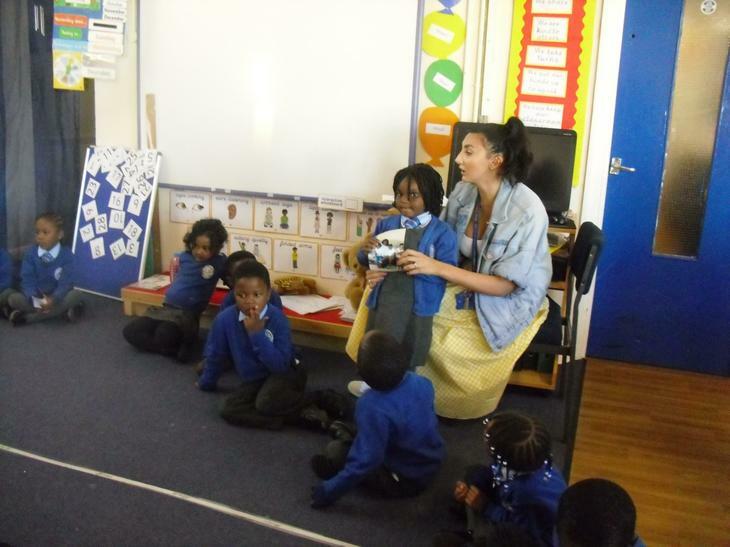 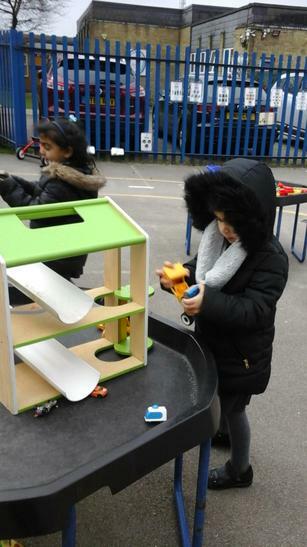 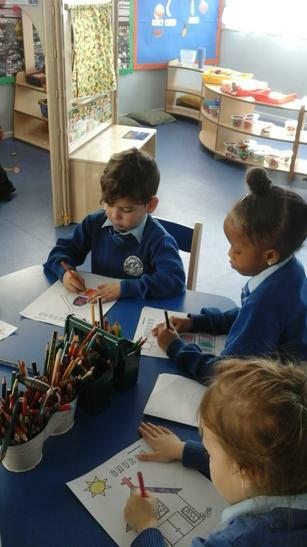 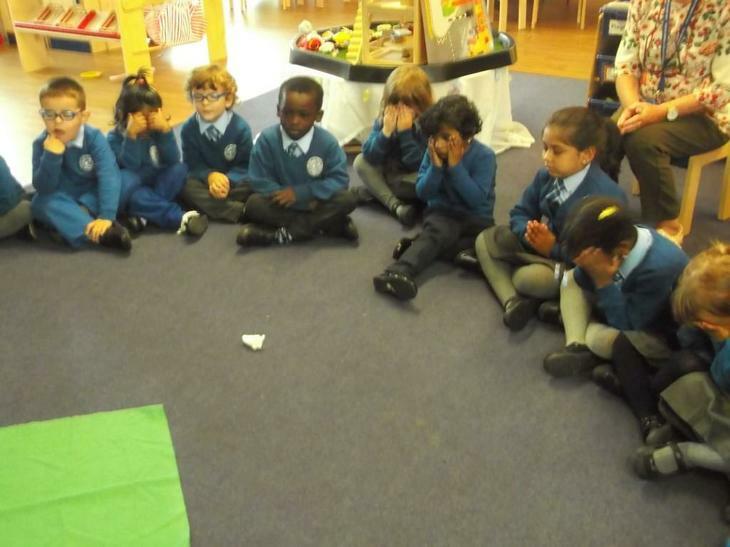 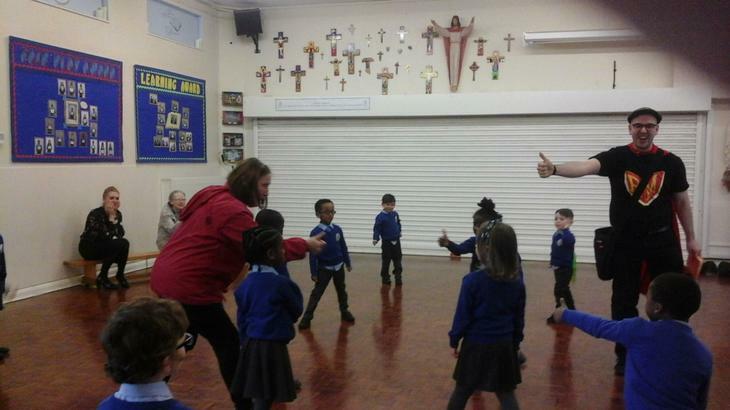 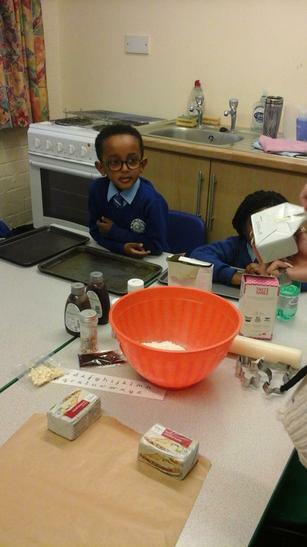 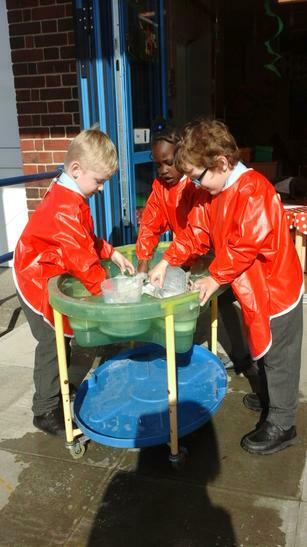 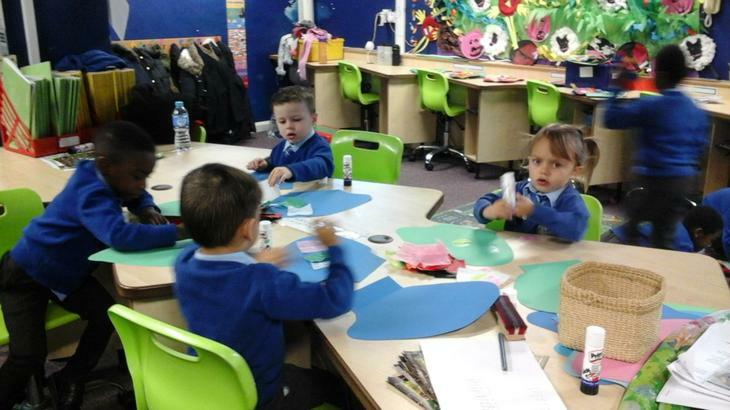 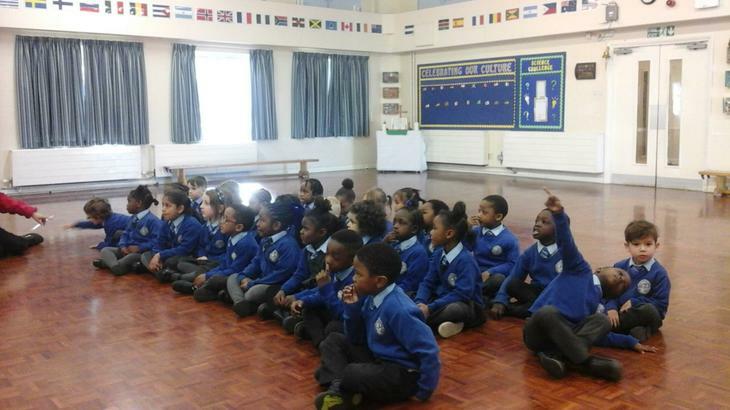 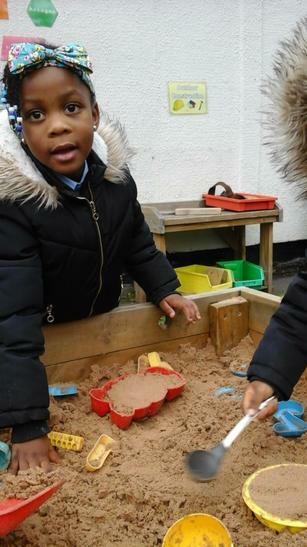 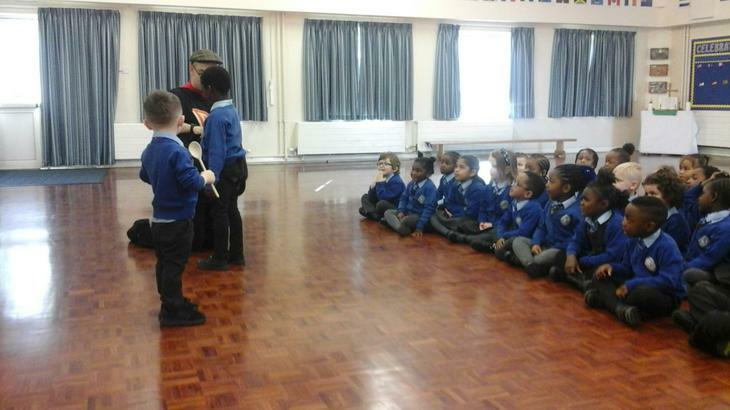 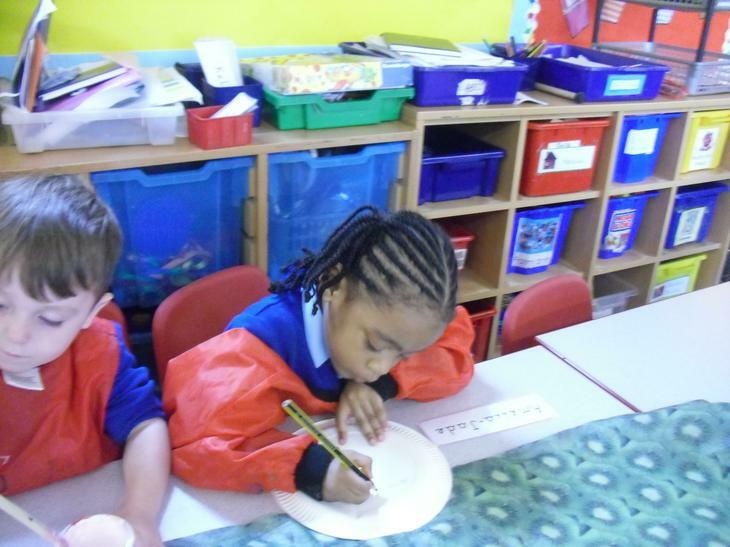 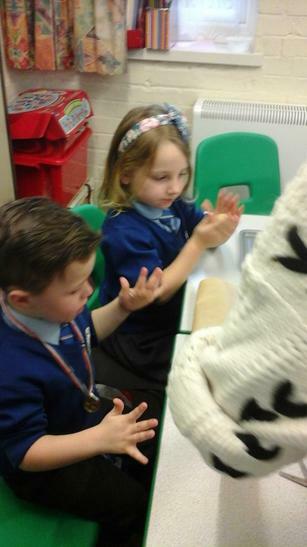 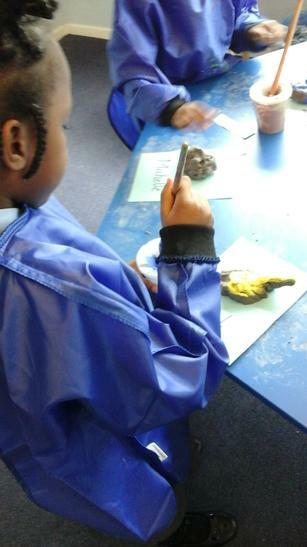 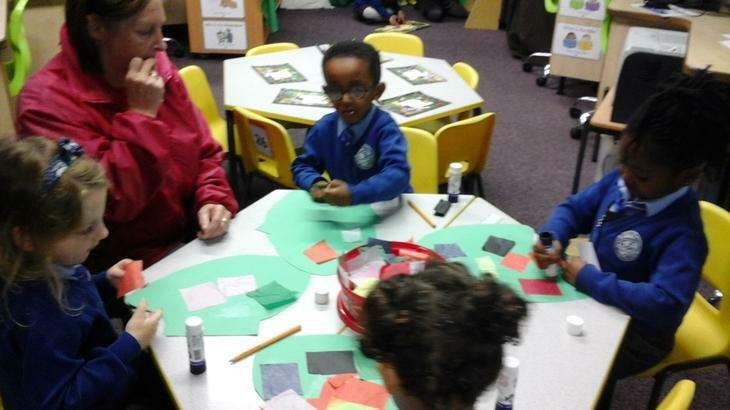 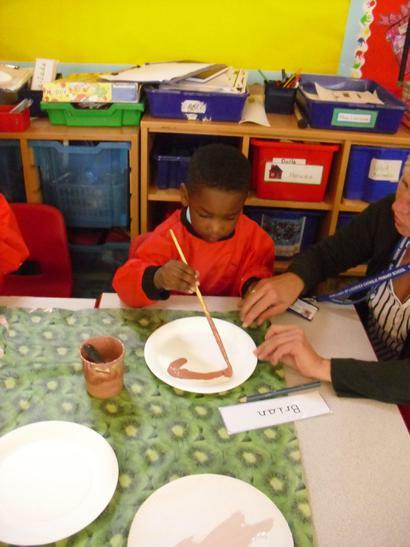 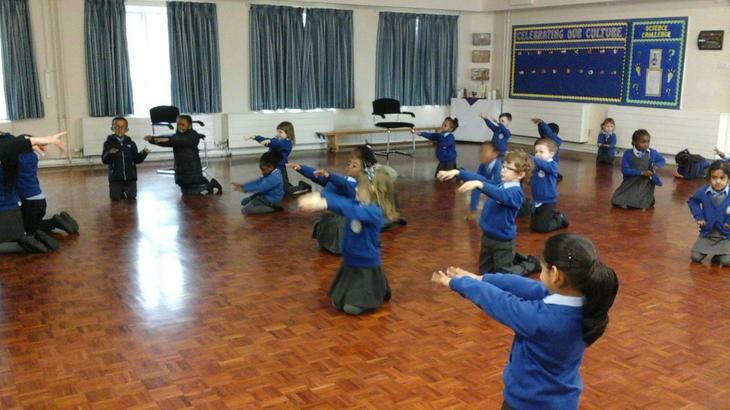 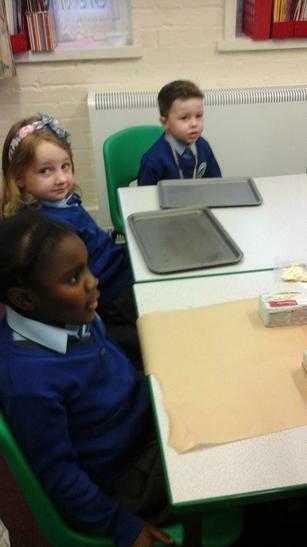 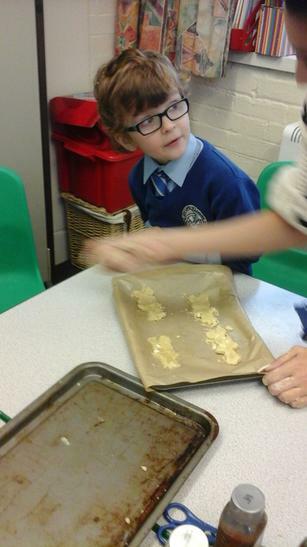 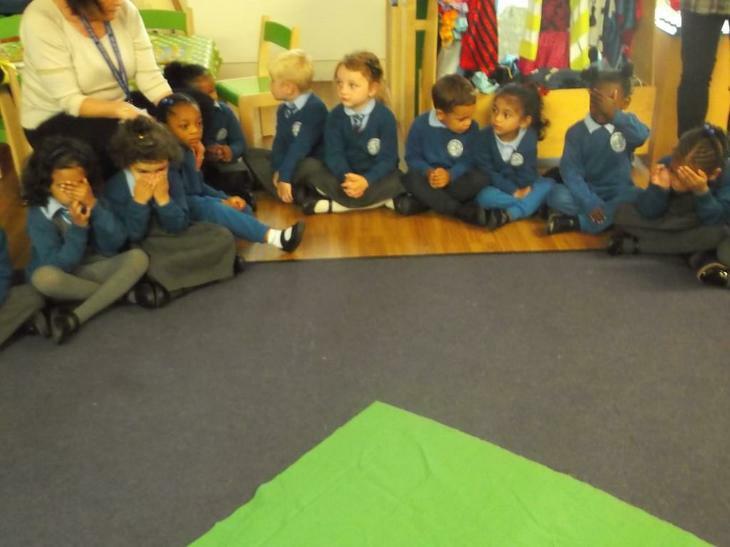 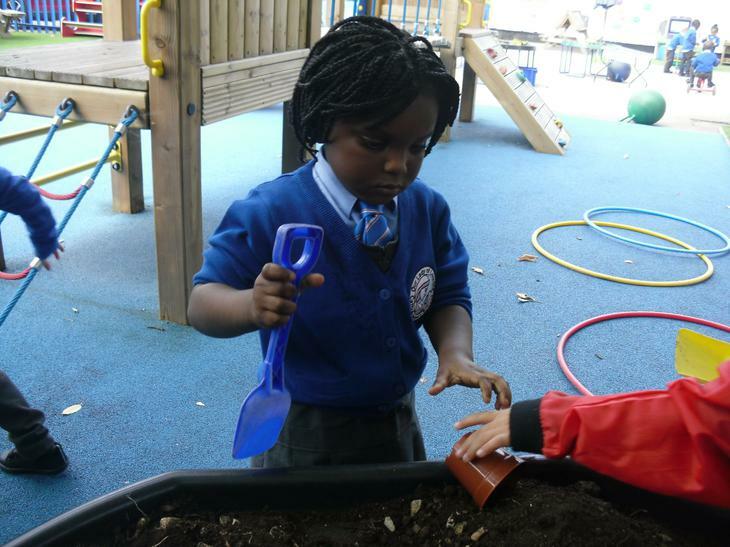 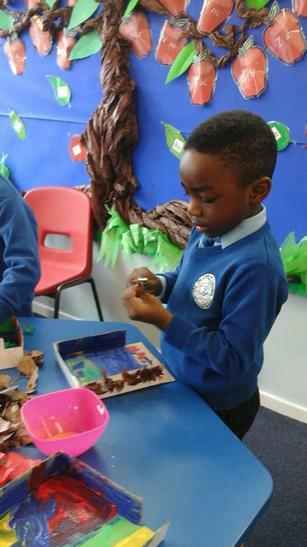 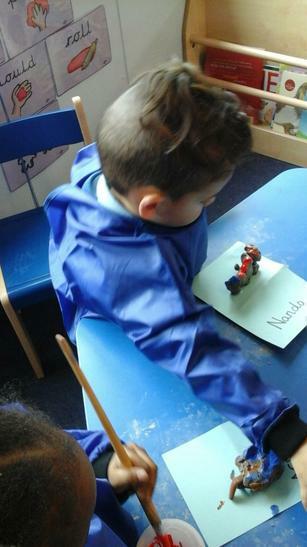 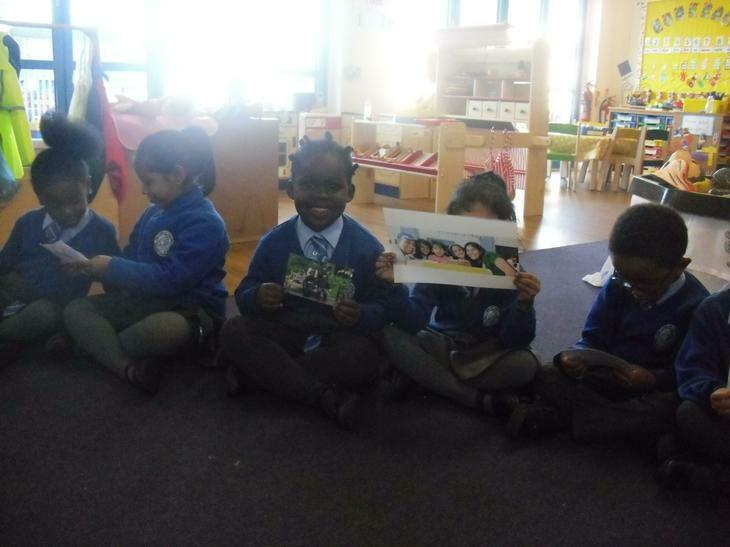 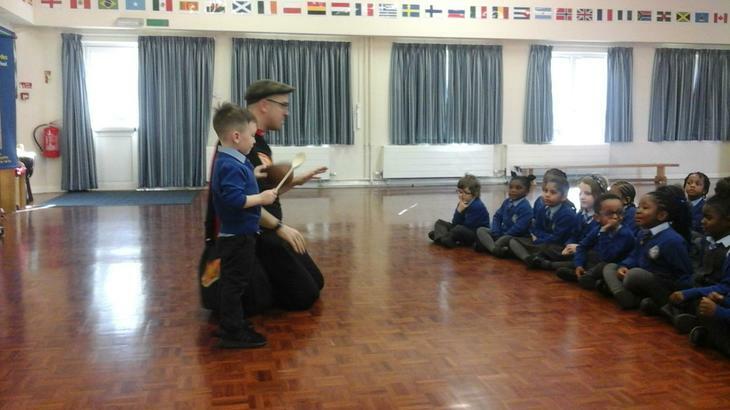 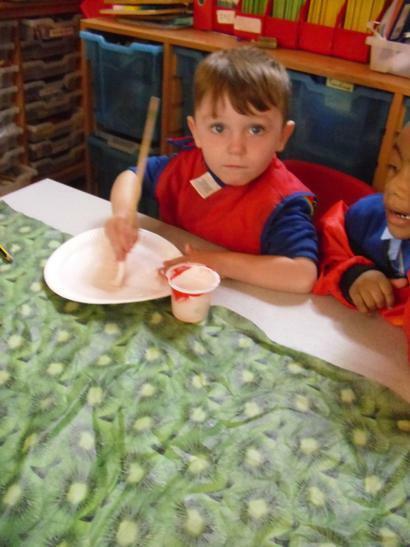 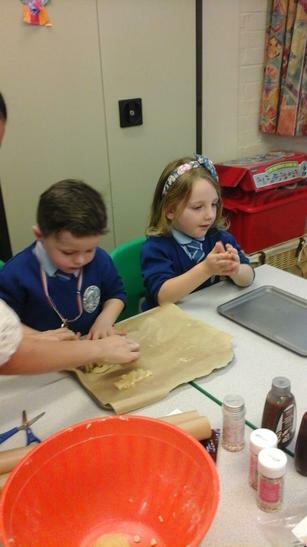 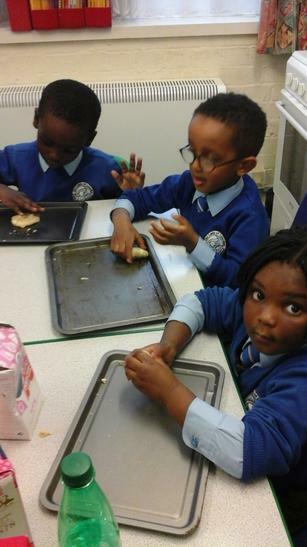 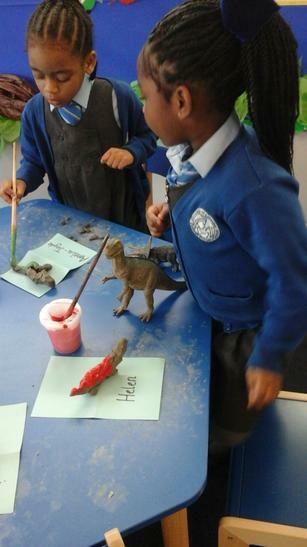 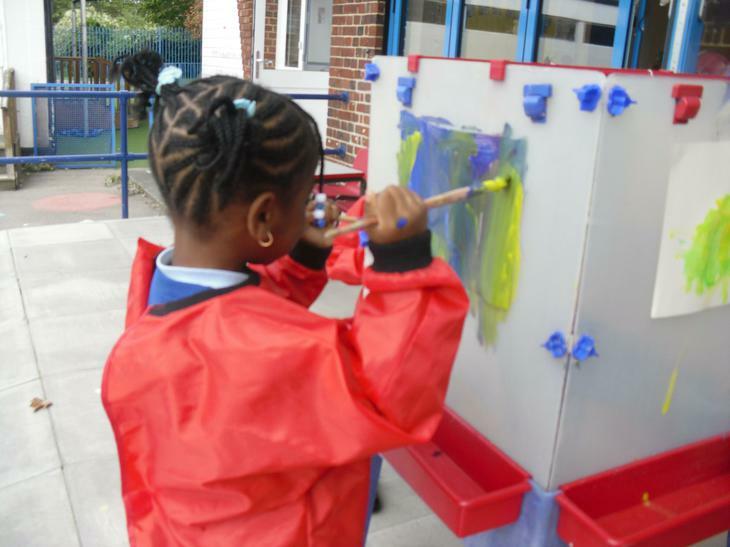 This week was Science Week and reception have been learning all about dinosaurs. 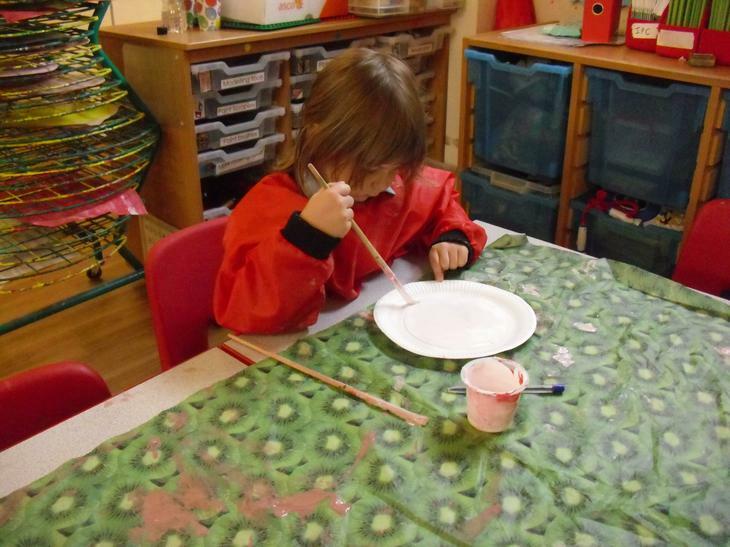 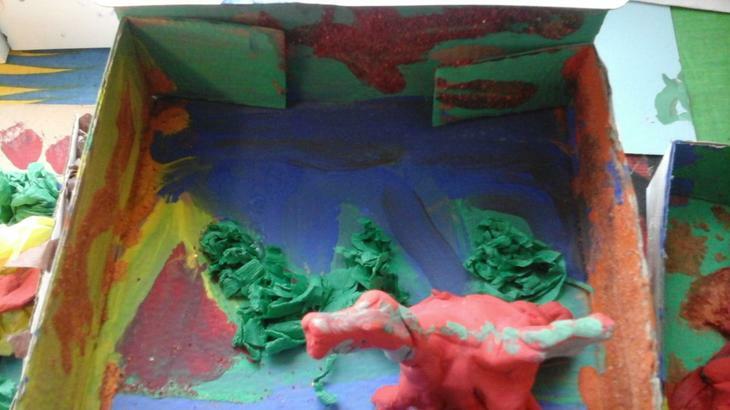 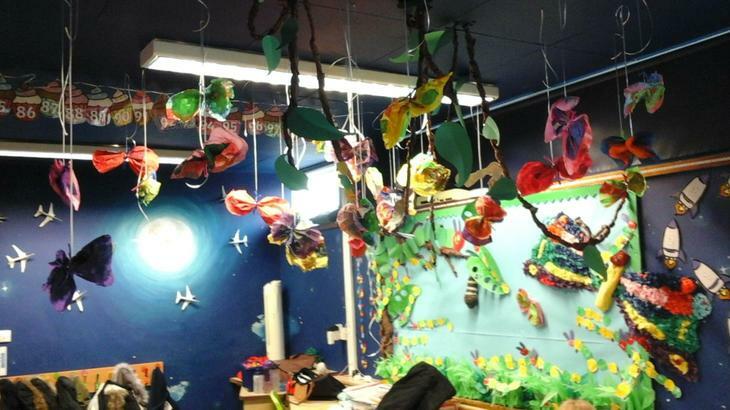 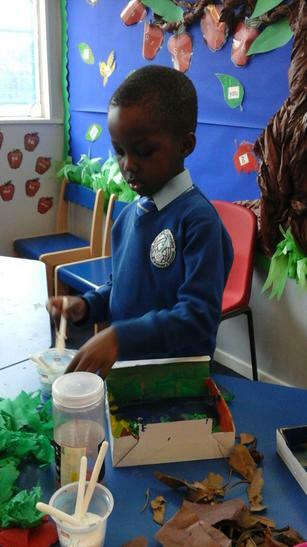 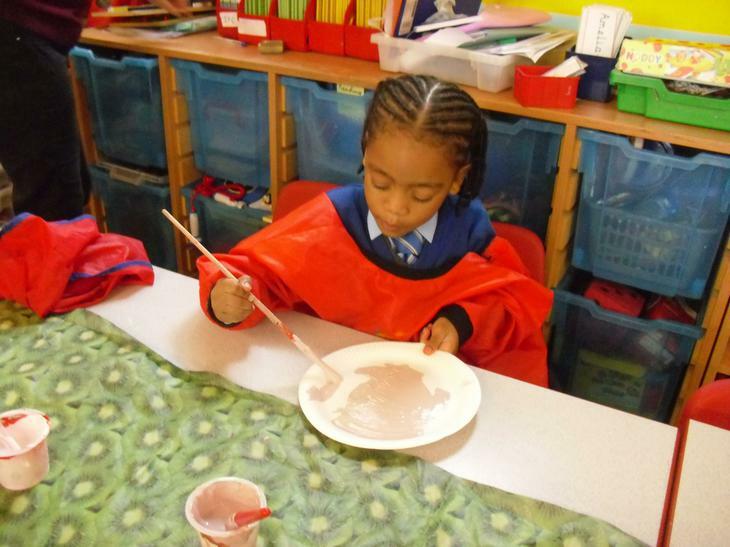 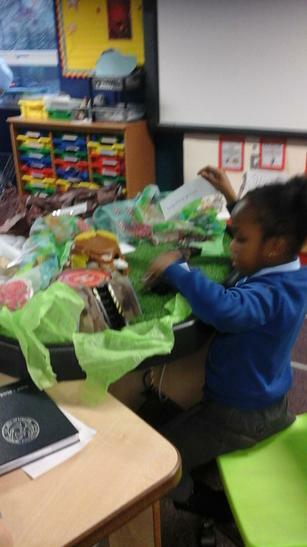 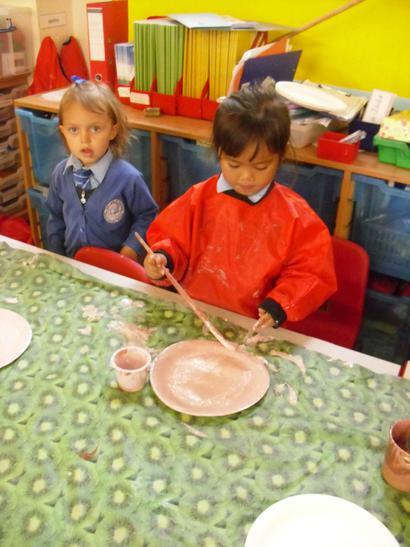 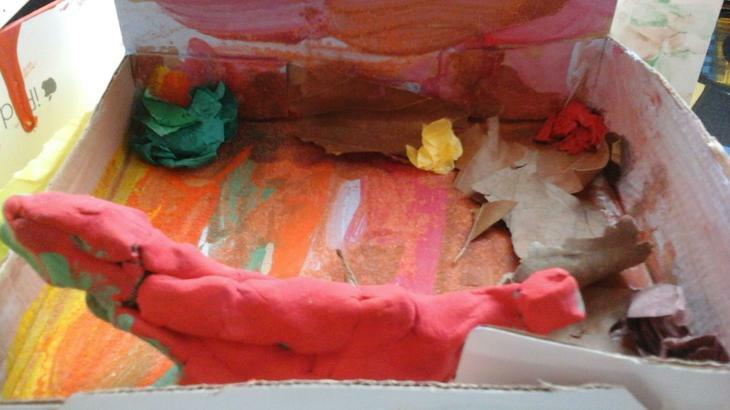 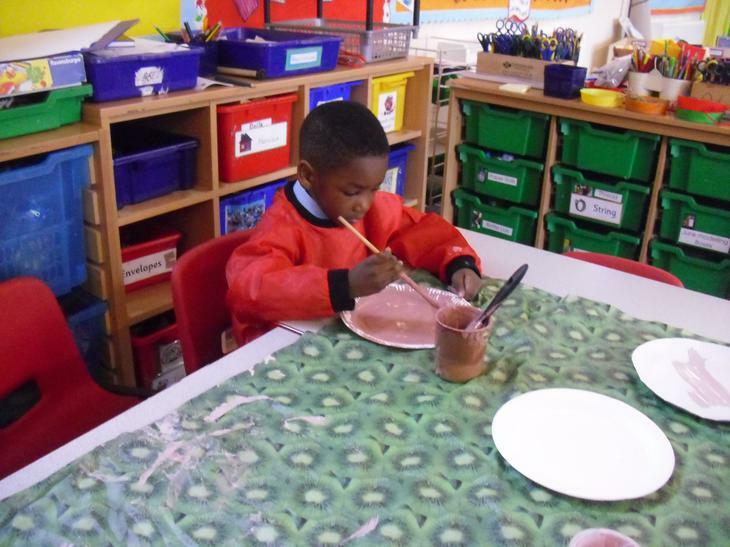 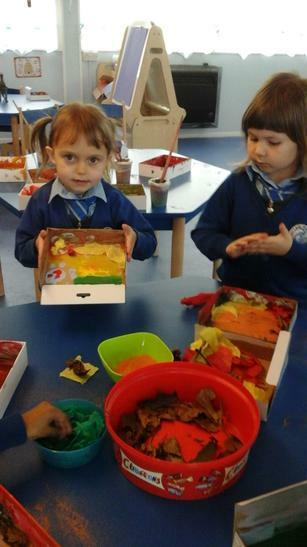 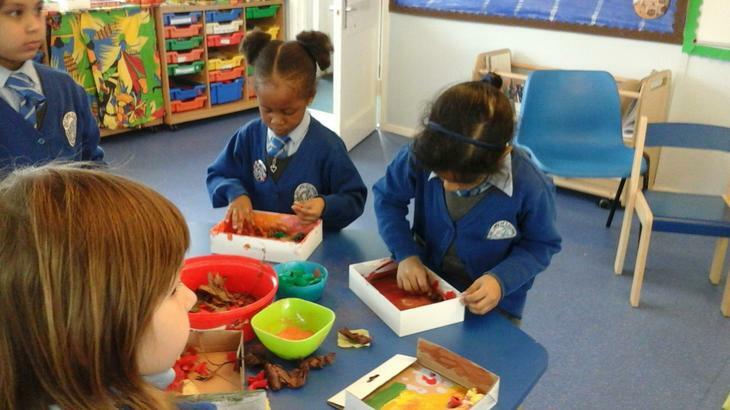 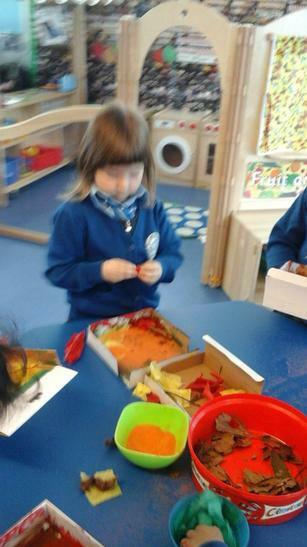 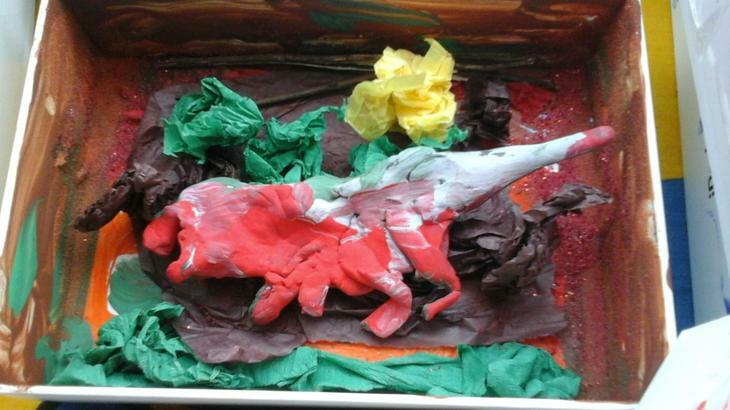 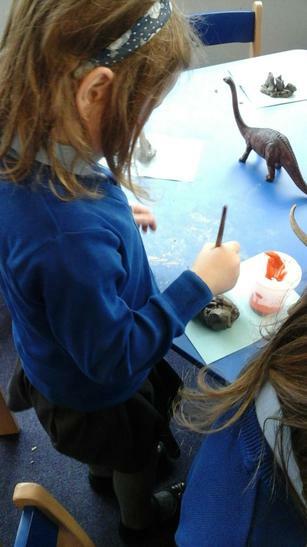 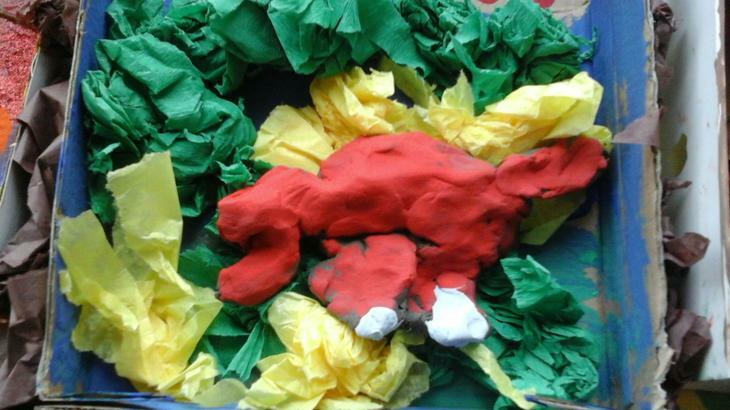 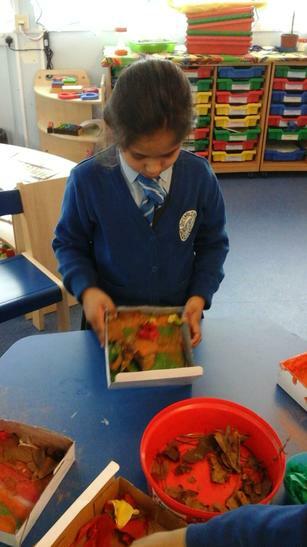 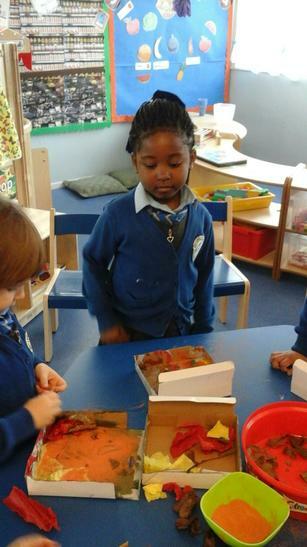 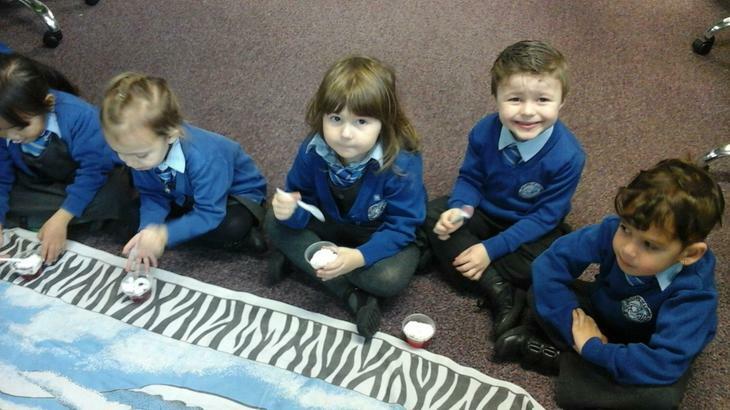 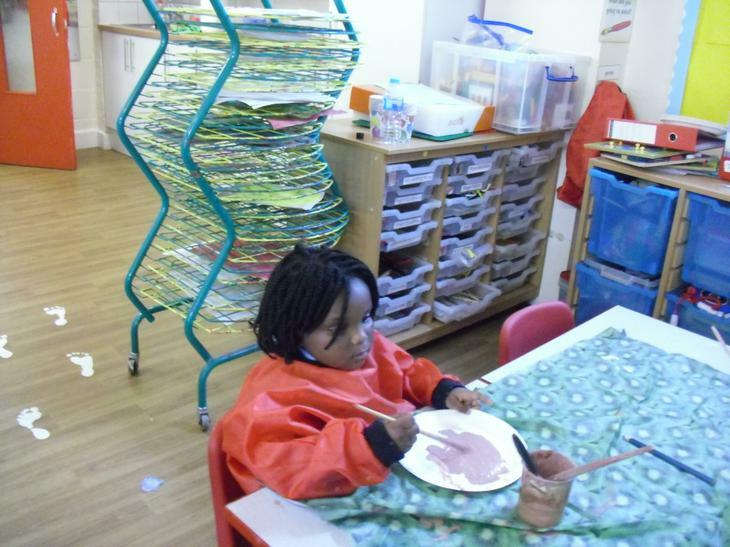 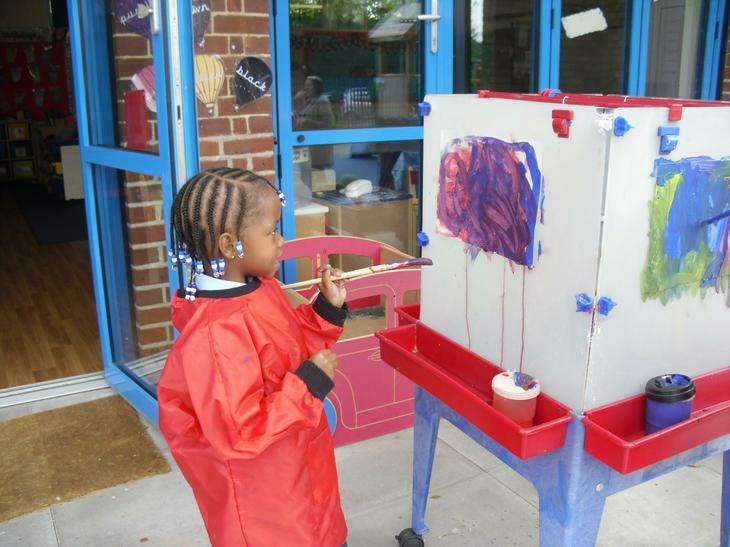 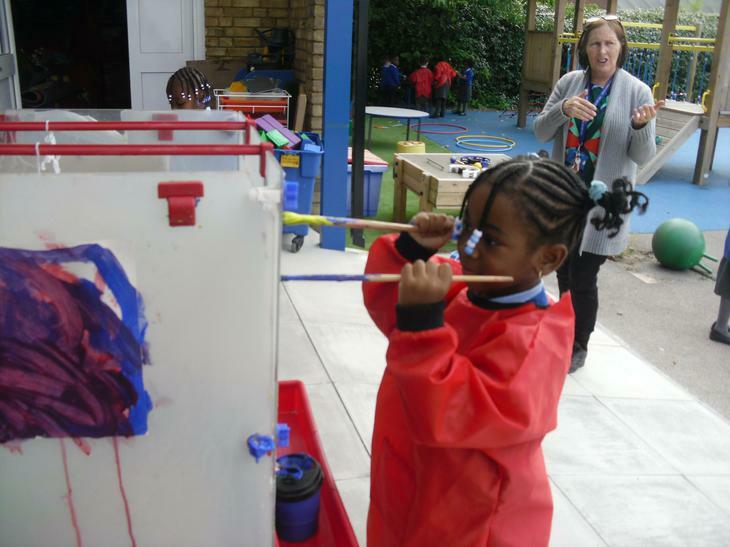 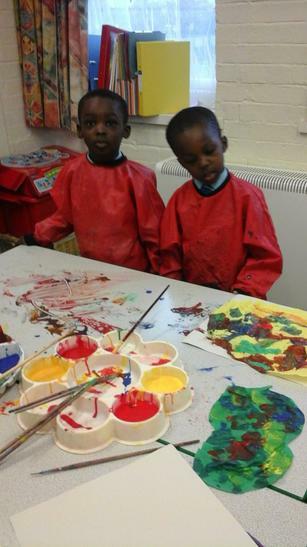 Reception used boxes to make a dinosaur habitat, and used clay and paint to make their ferocious dinosaurs! 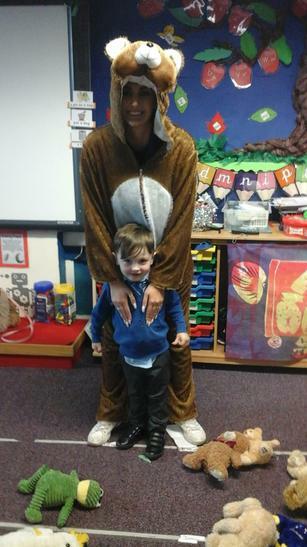 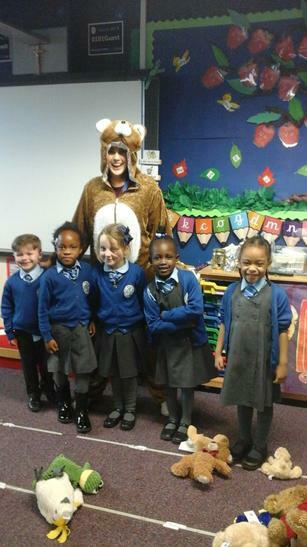 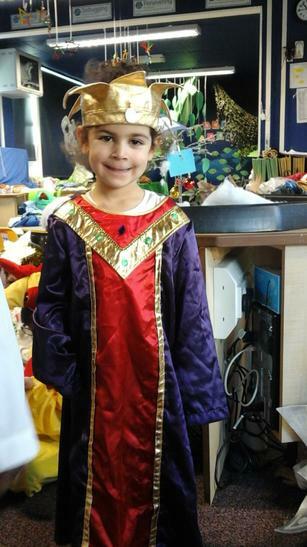 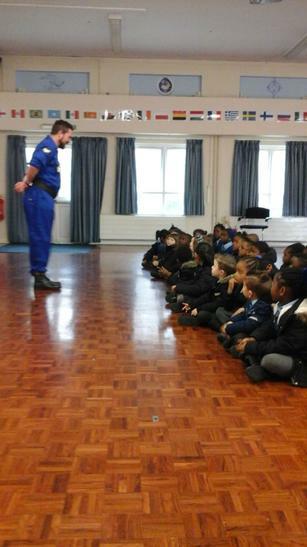 This week Our Lady of Lourdes had a visit from Major Tom! 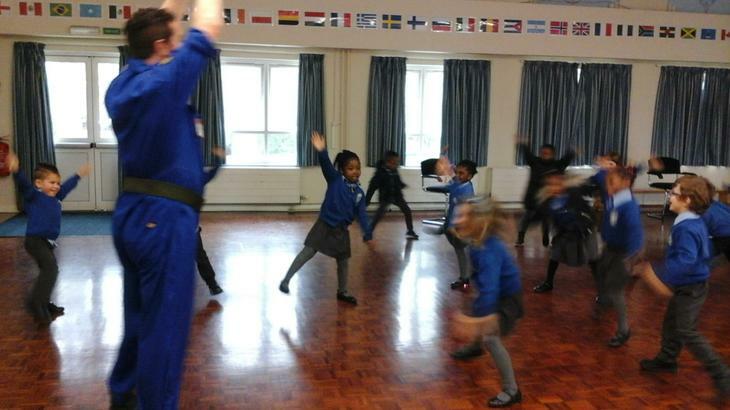 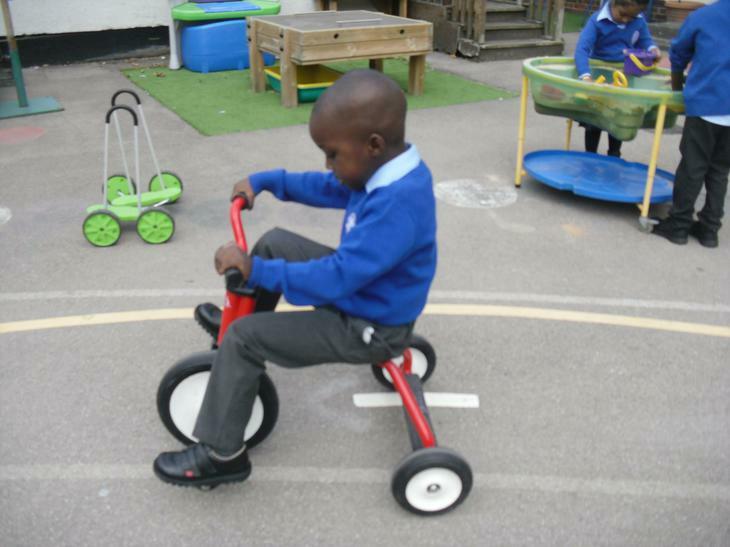 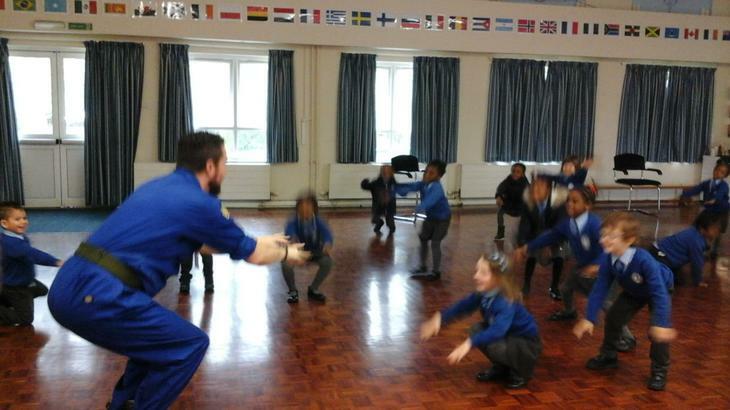 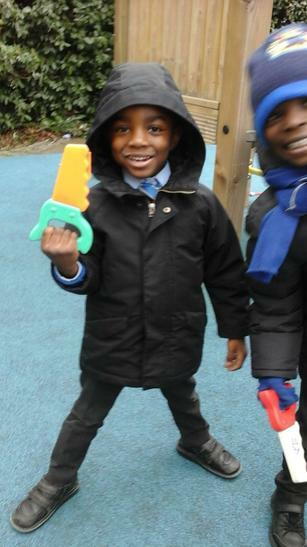 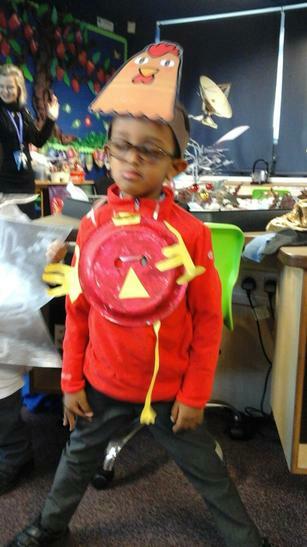 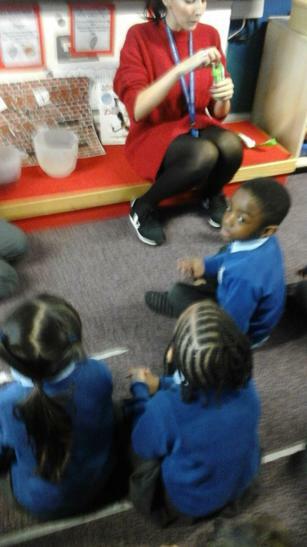 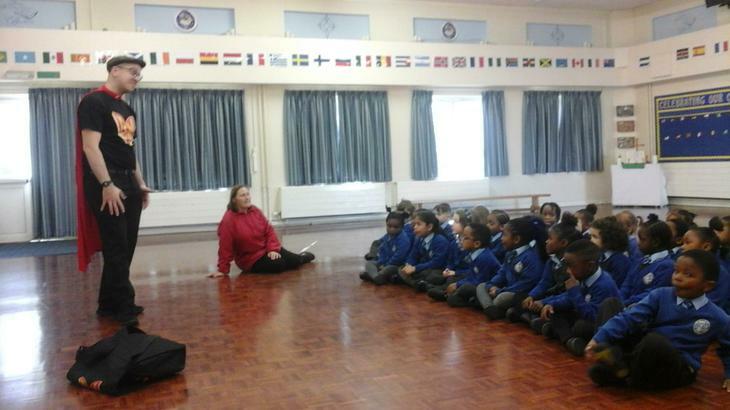 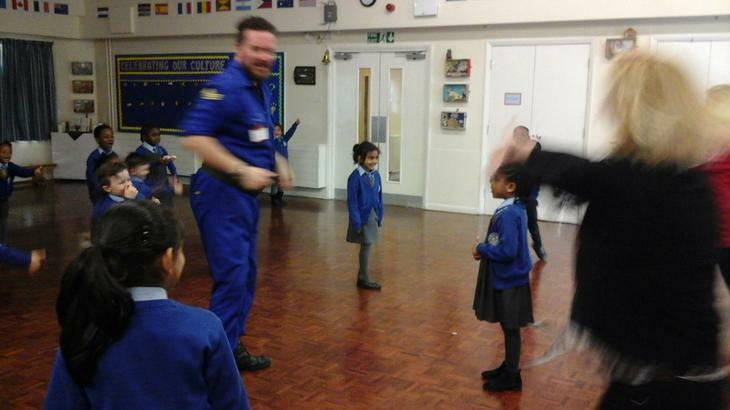 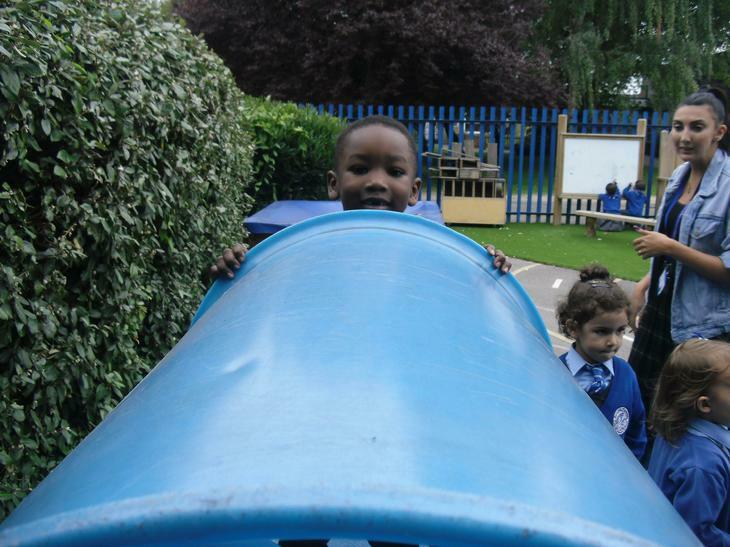 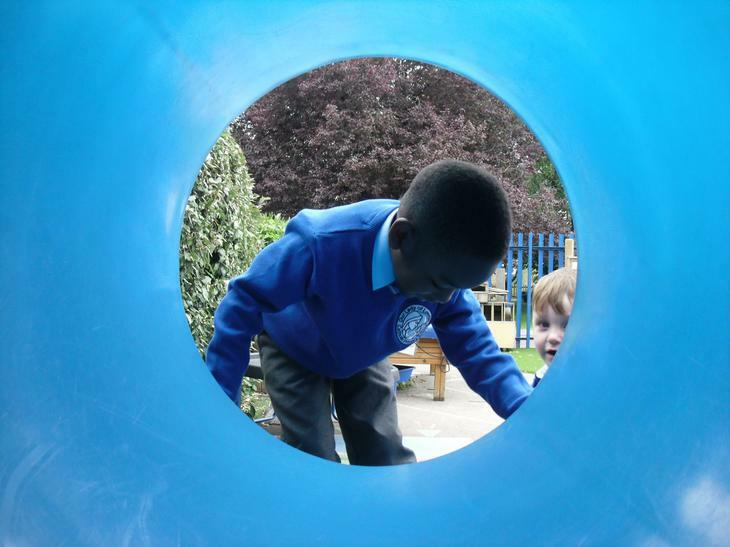 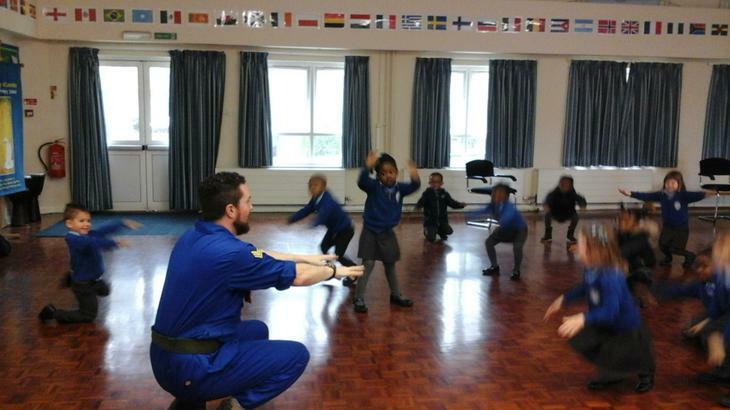 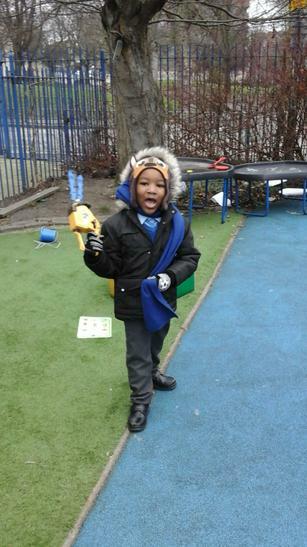 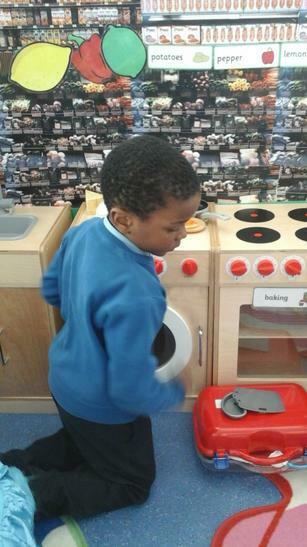 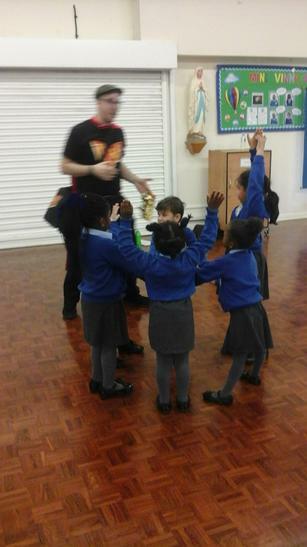 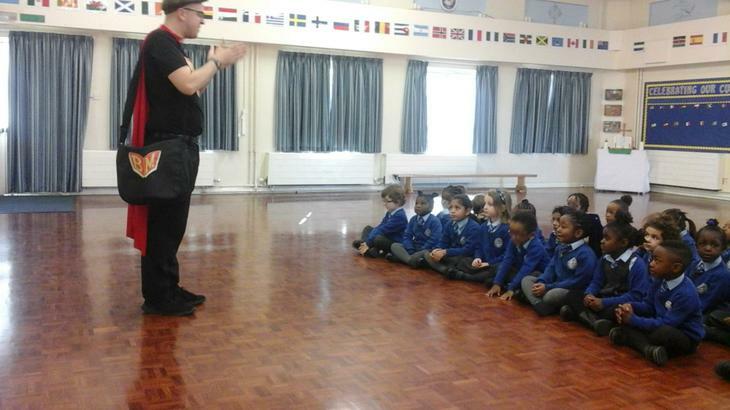 He taught Reception all about The Solar System and travelling to space. 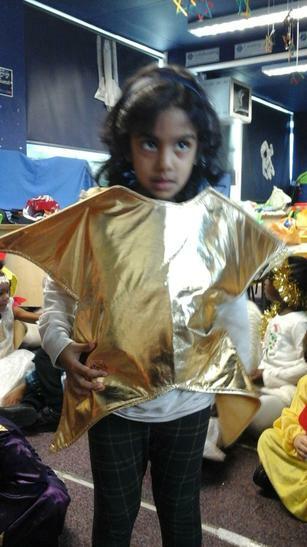 3..2..1..BLAST OFF! 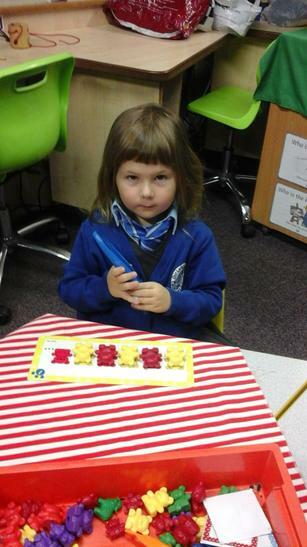 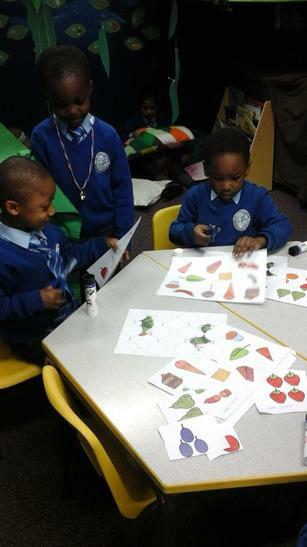 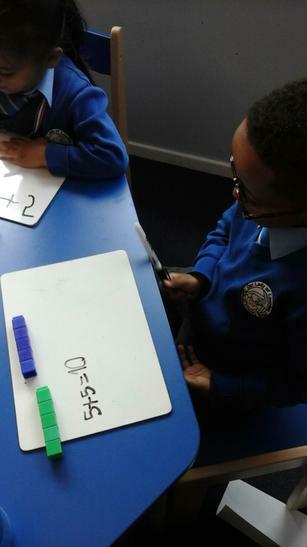 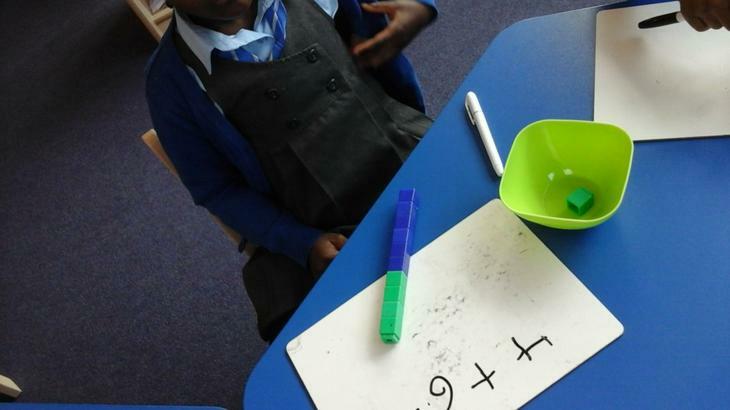 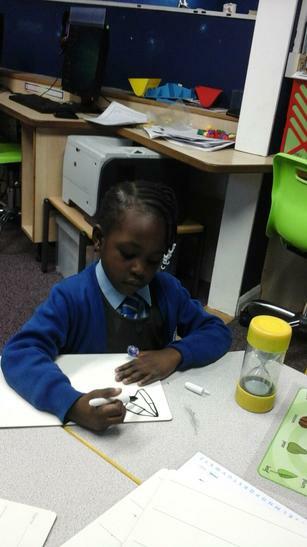 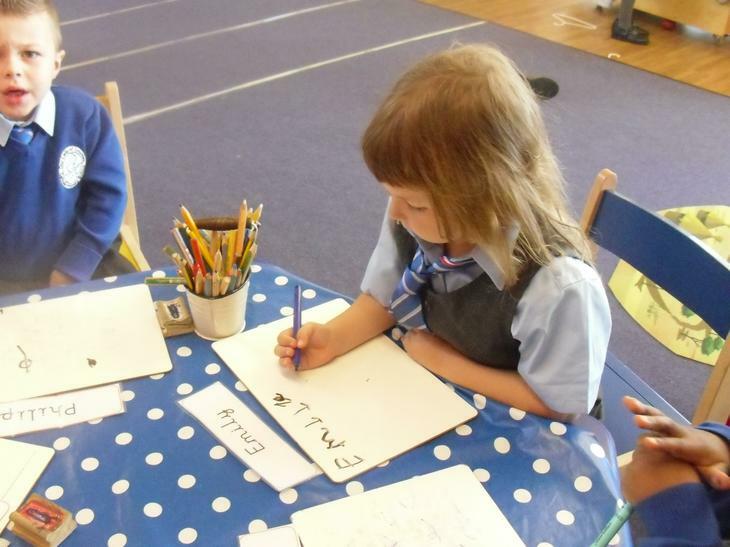 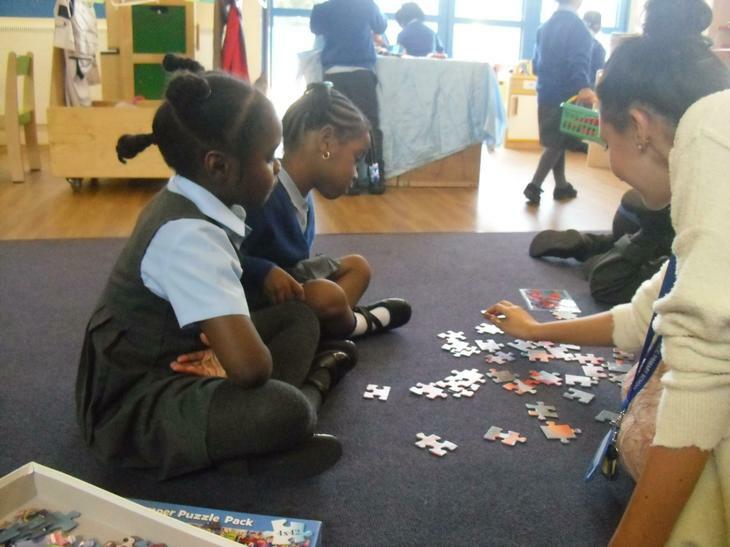 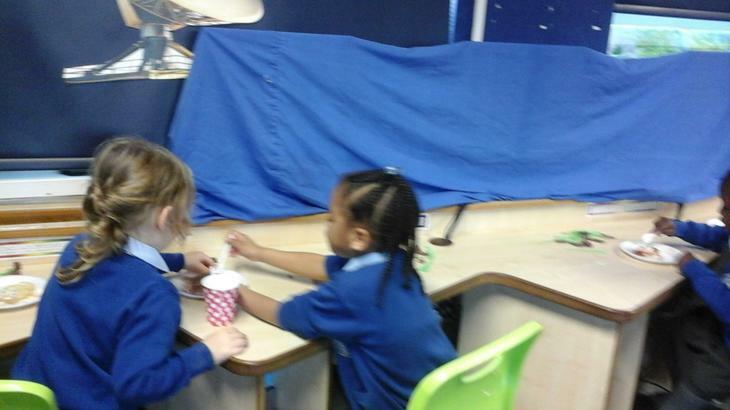 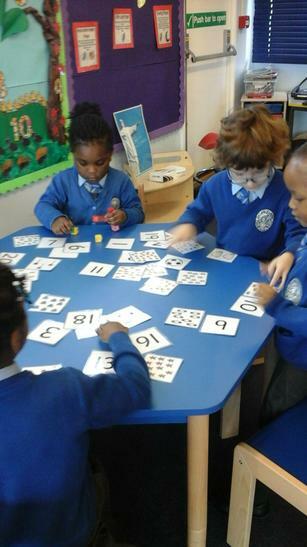 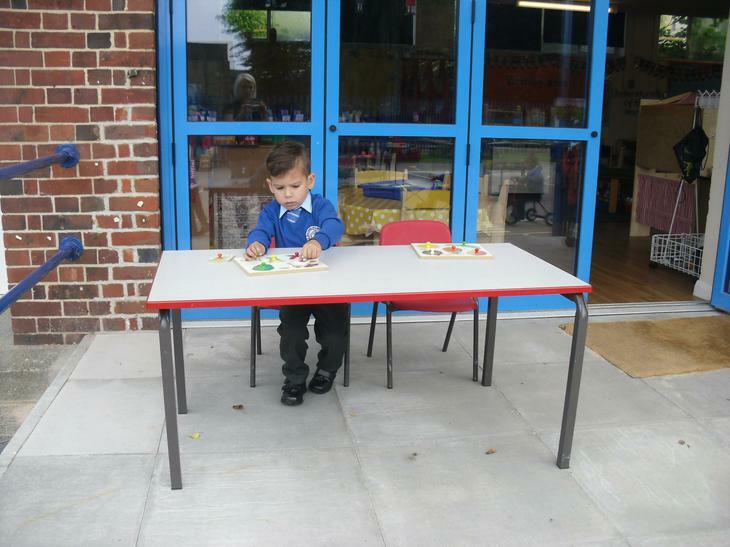 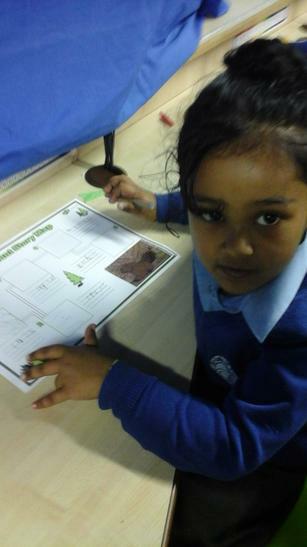 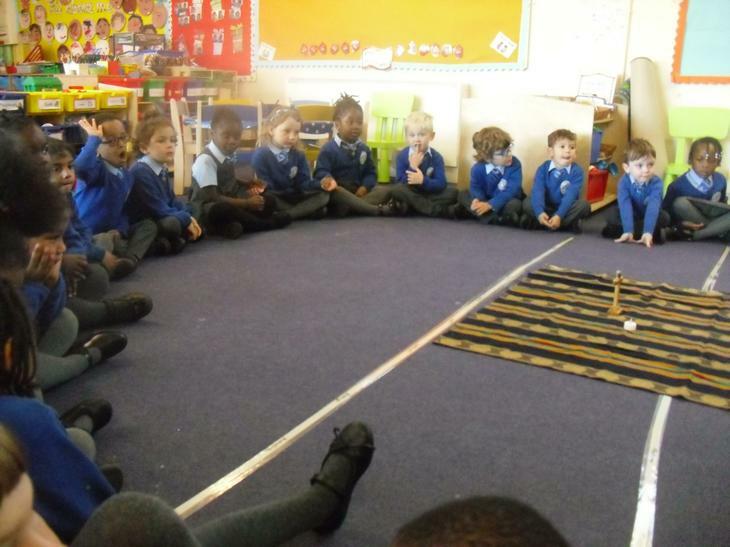 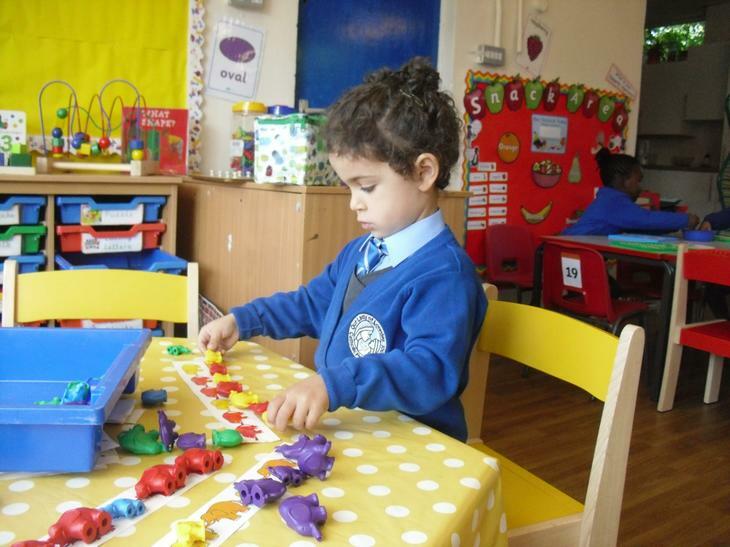 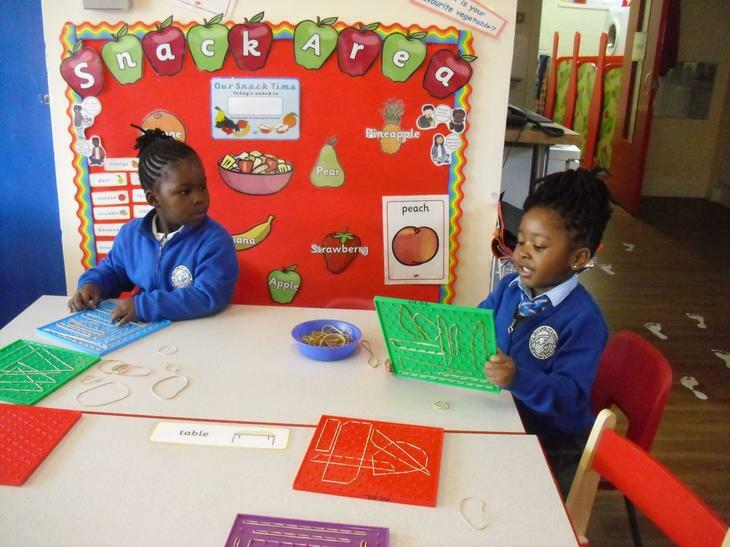 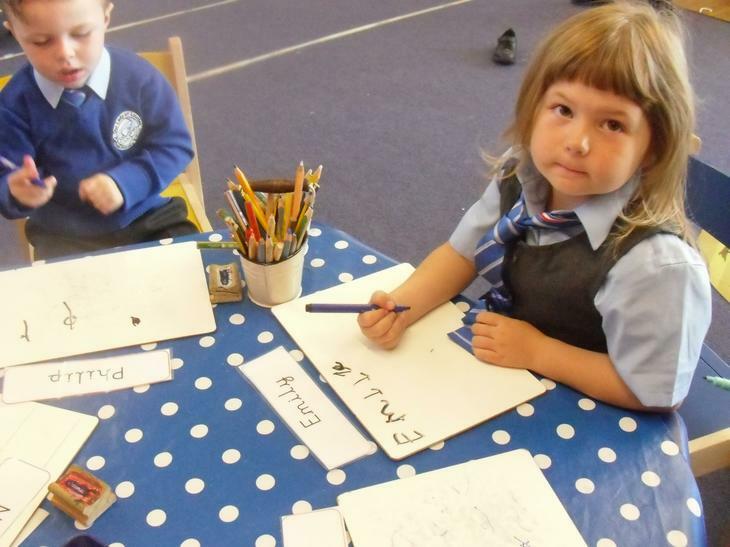 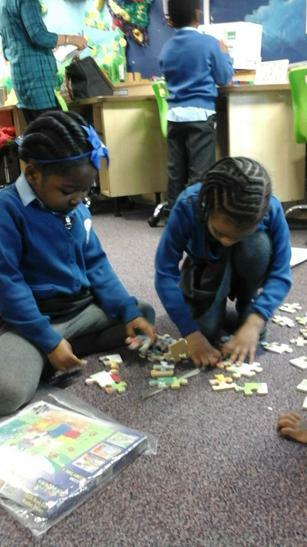 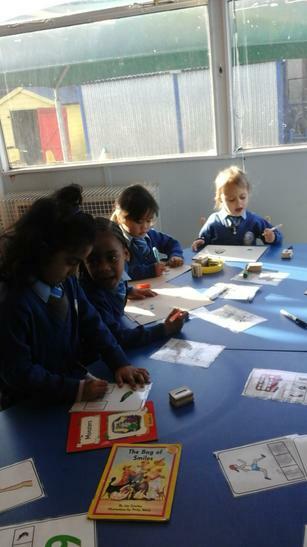 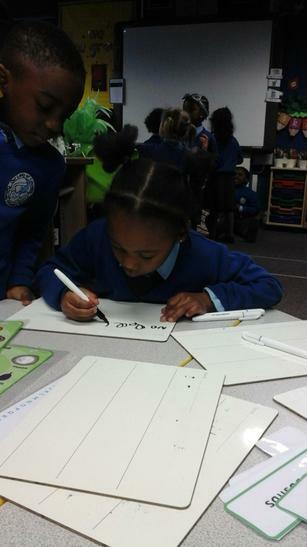 Reception have been practicing their addition, they have been using dice and cubes to help them find their answers! 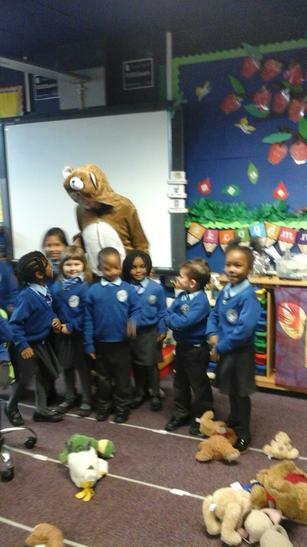 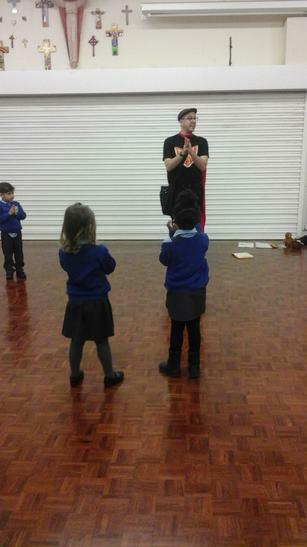 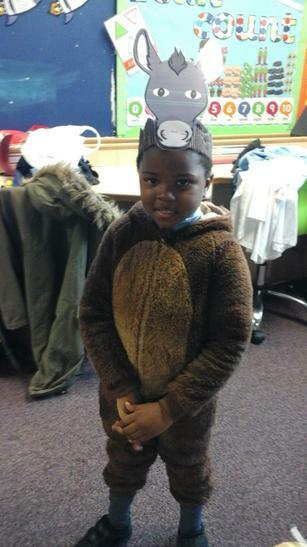 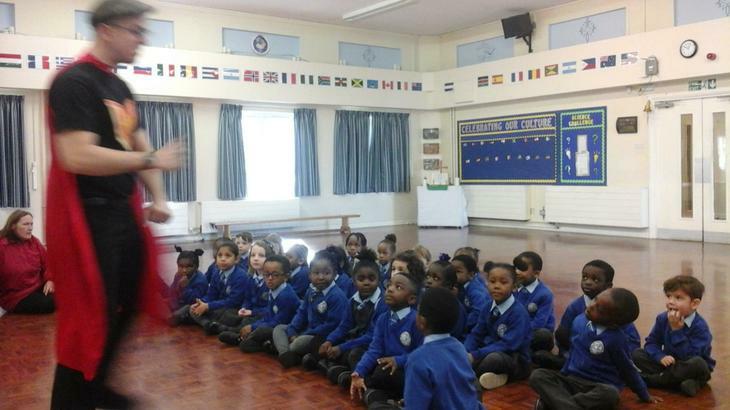 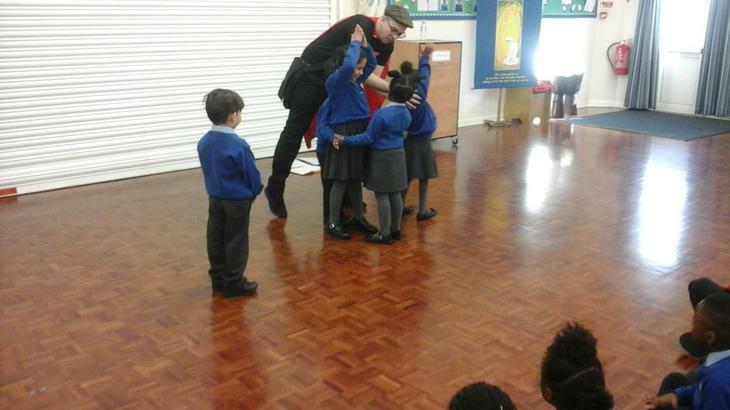 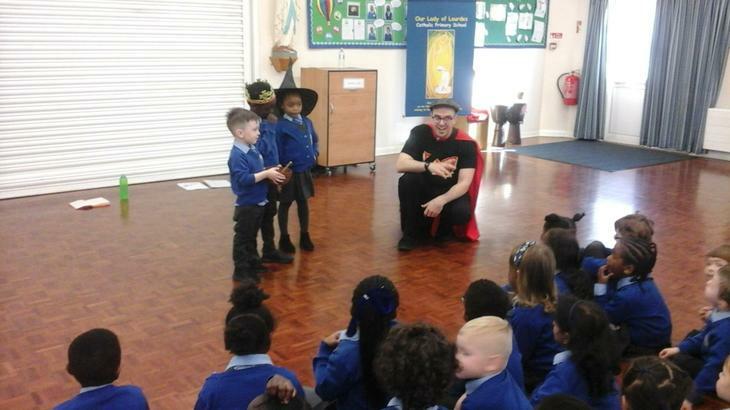 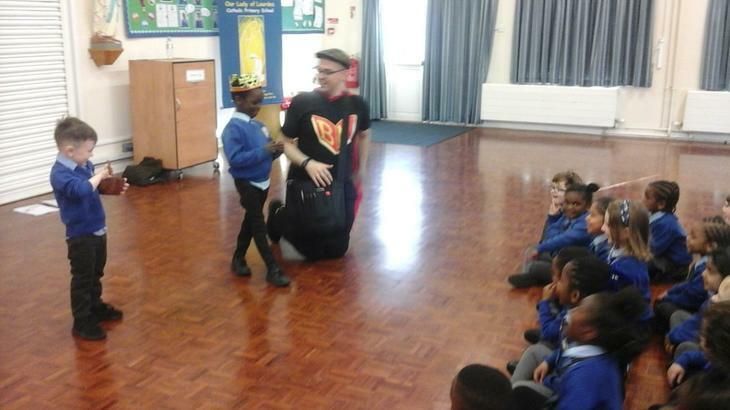 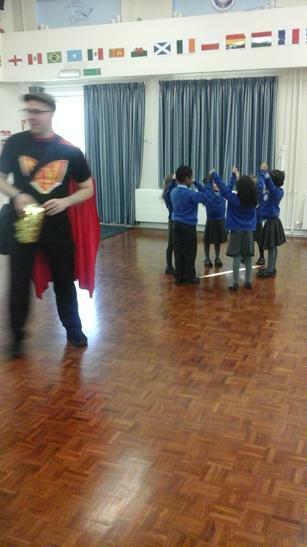 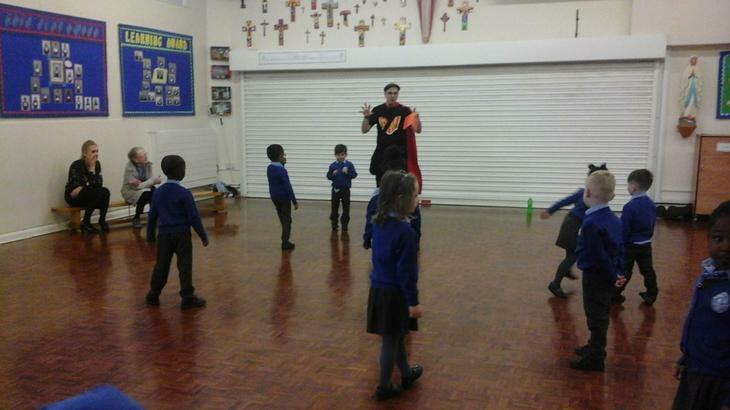 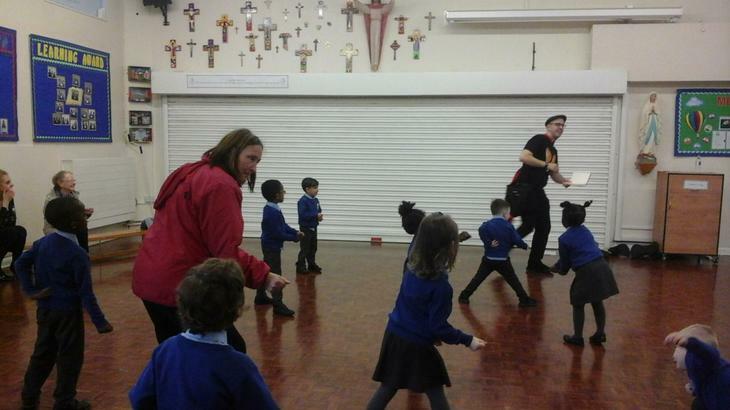 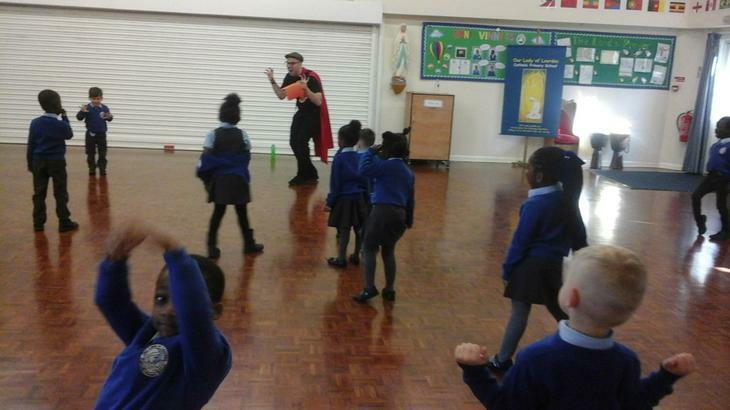 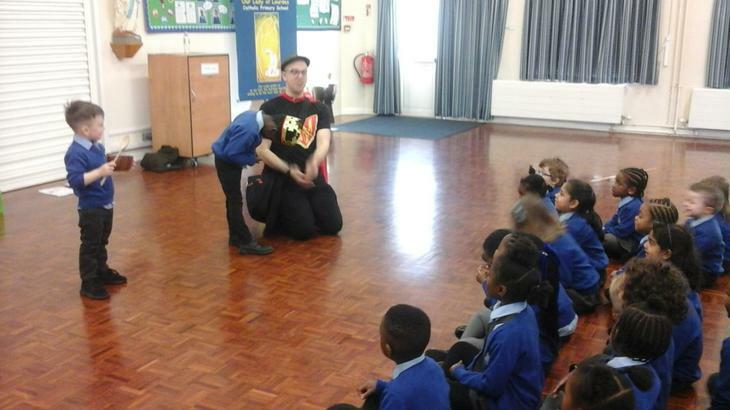 To begin our World Book Day celebrations, Reception met BookMan! 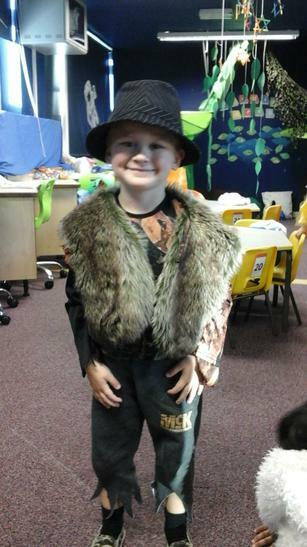 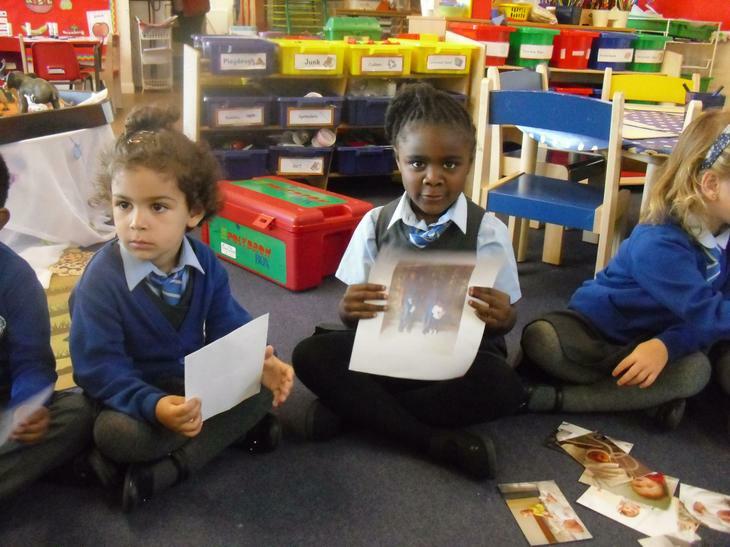 They used objects and their imaginations to explore their favourite stories! 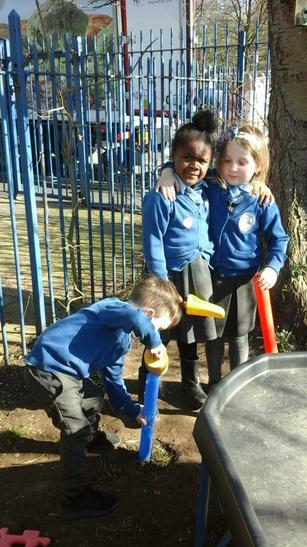 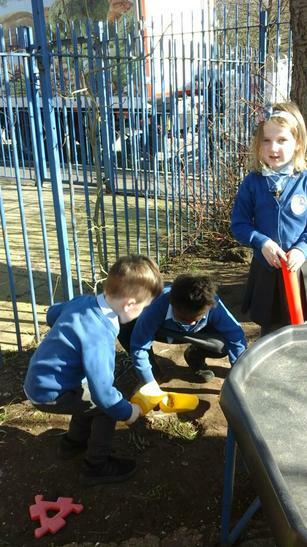 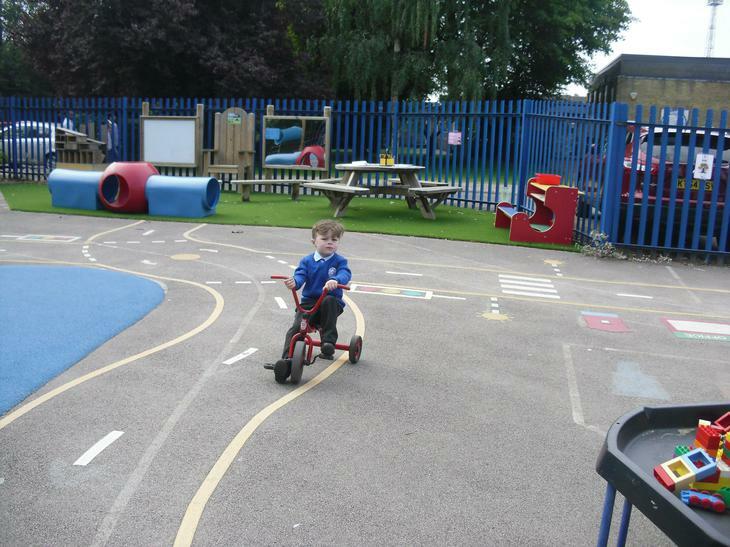 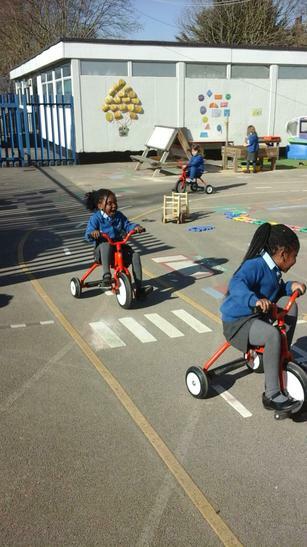 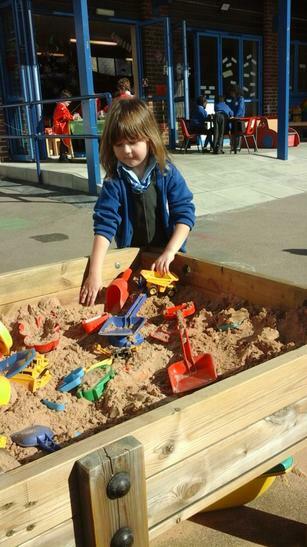 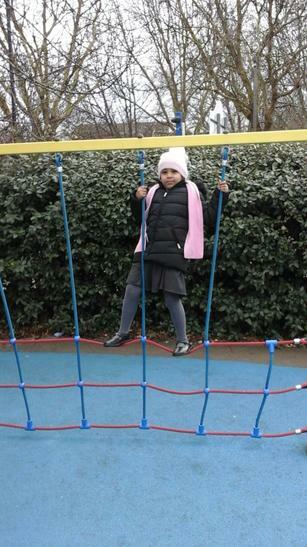 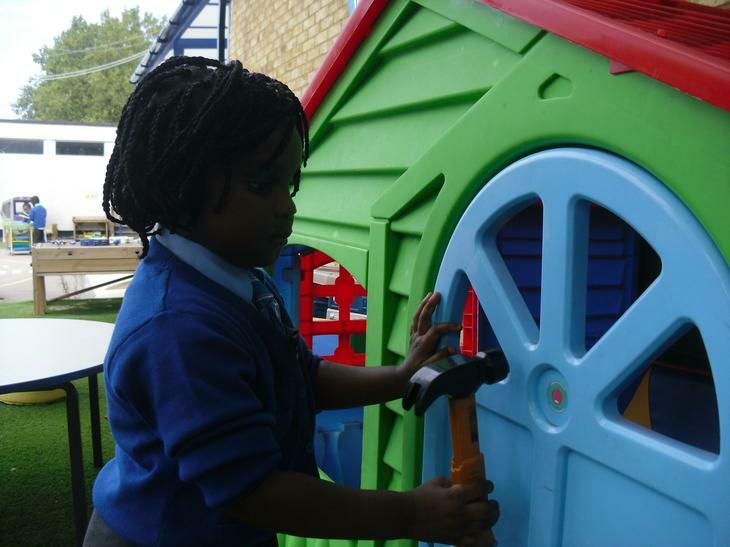 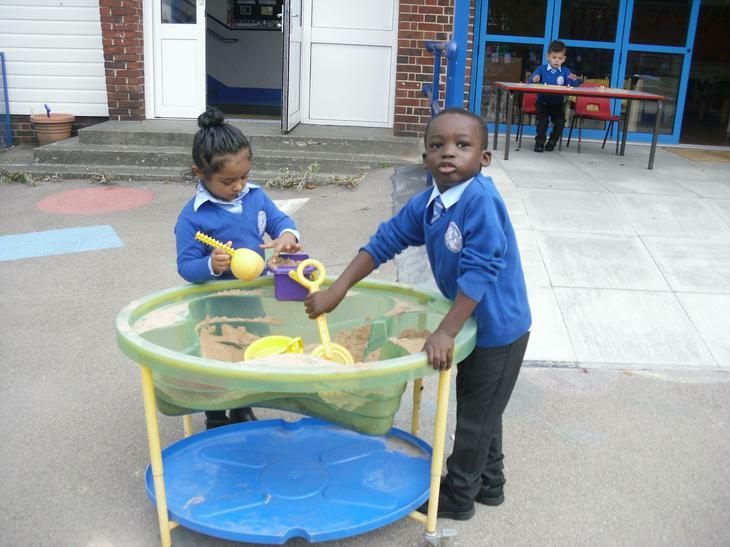 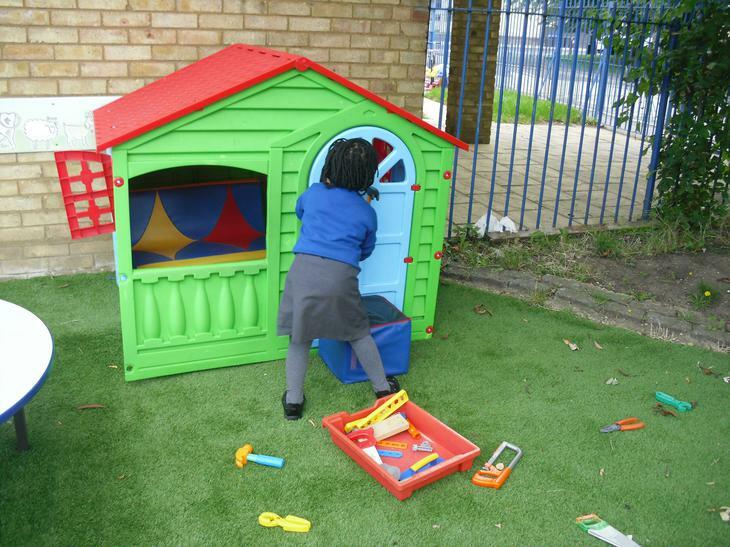 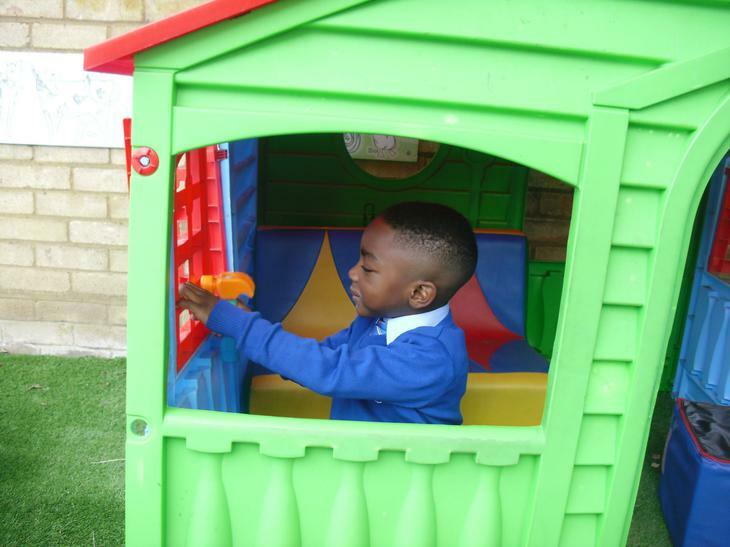 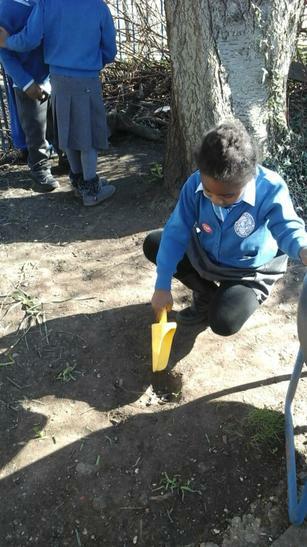 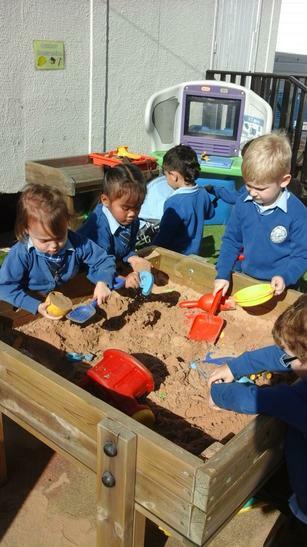 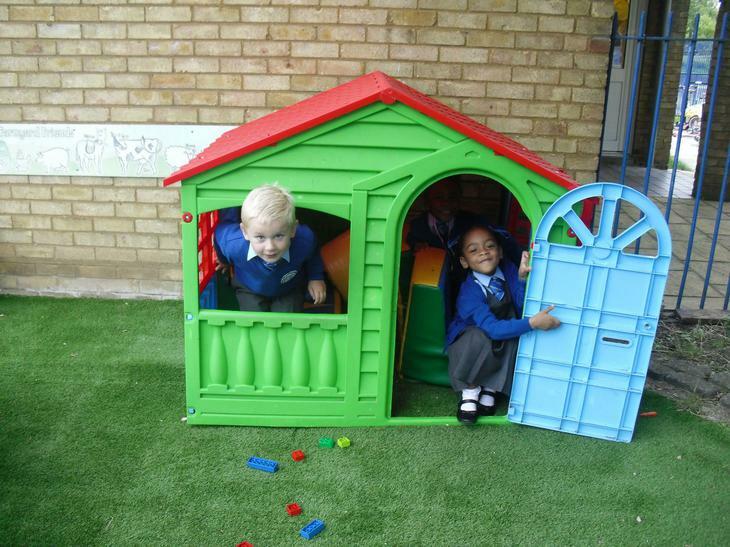 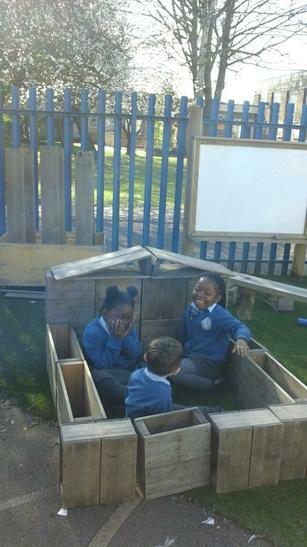 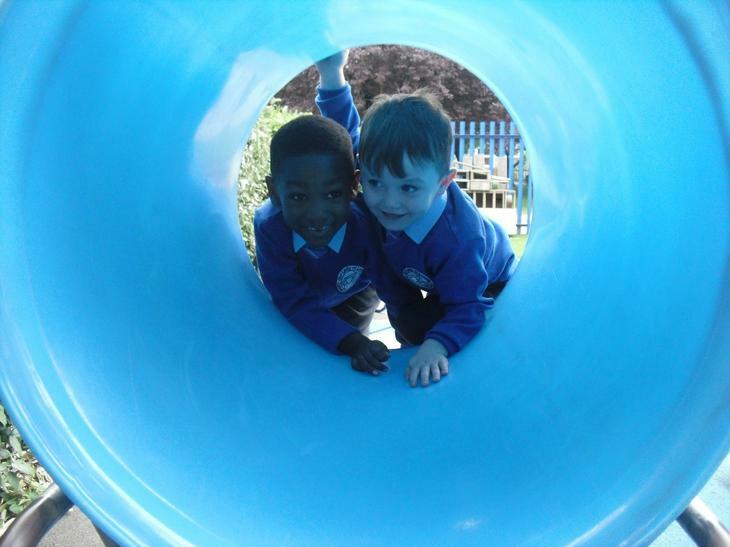 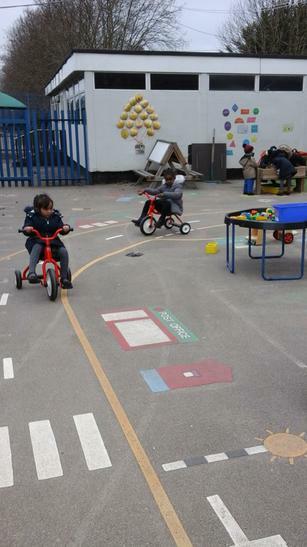 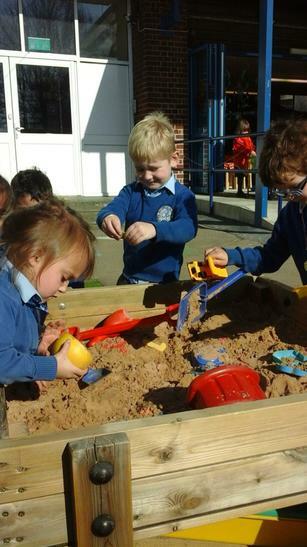 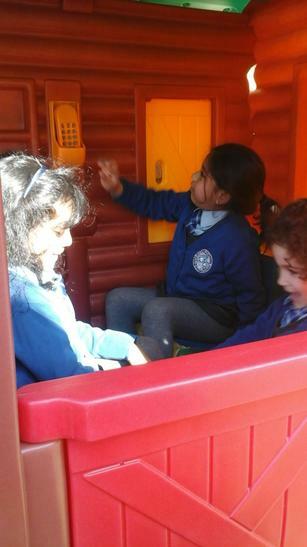 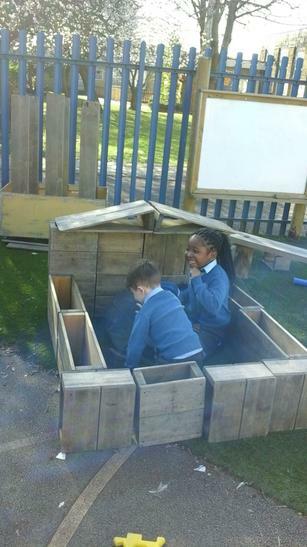 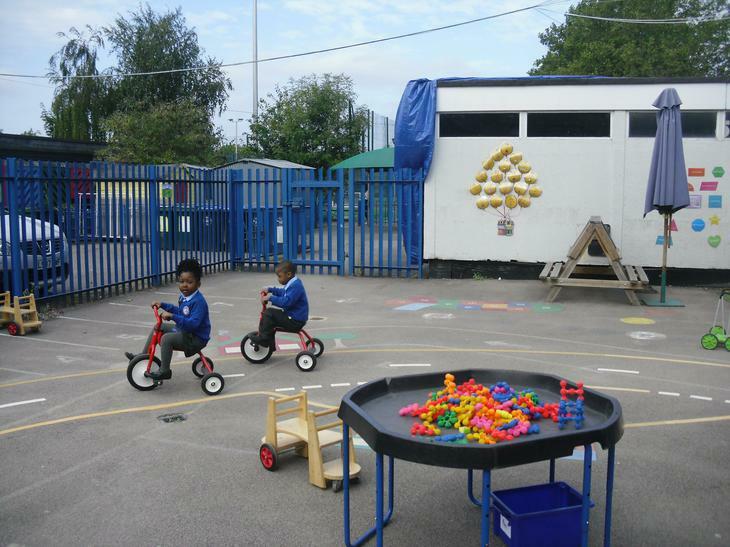 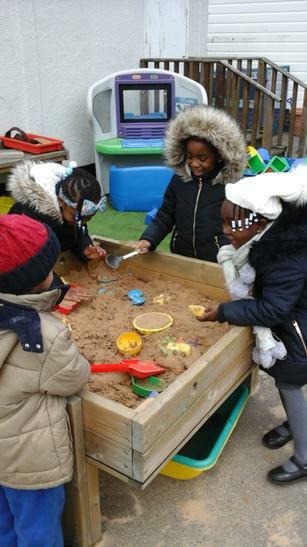 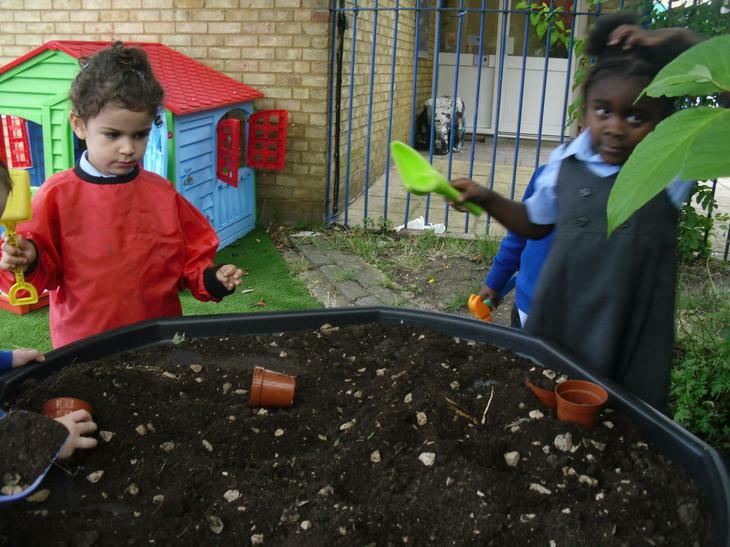 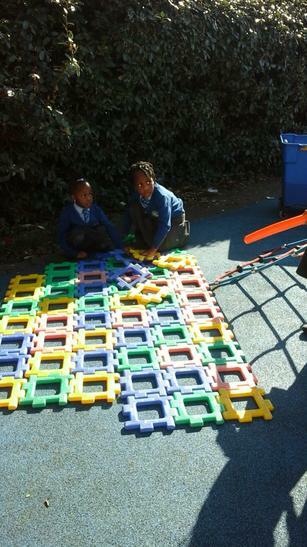 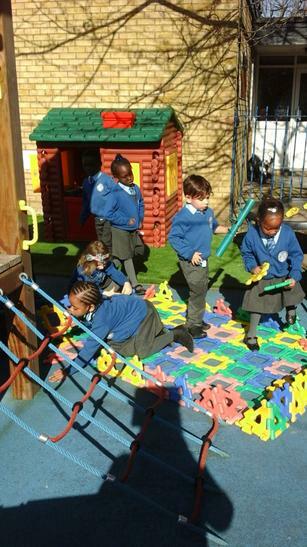 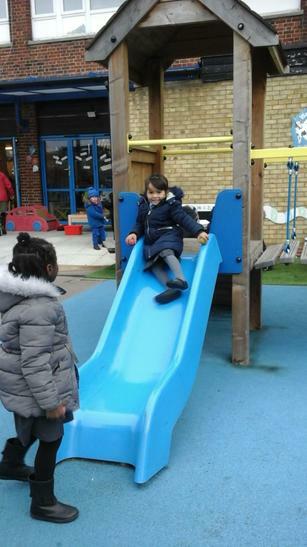 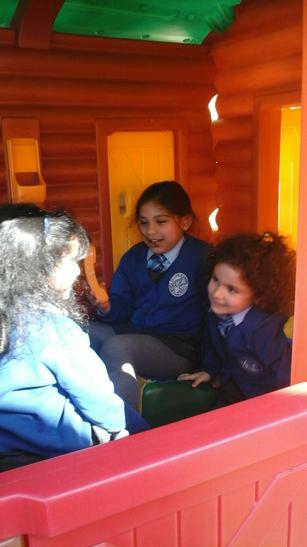 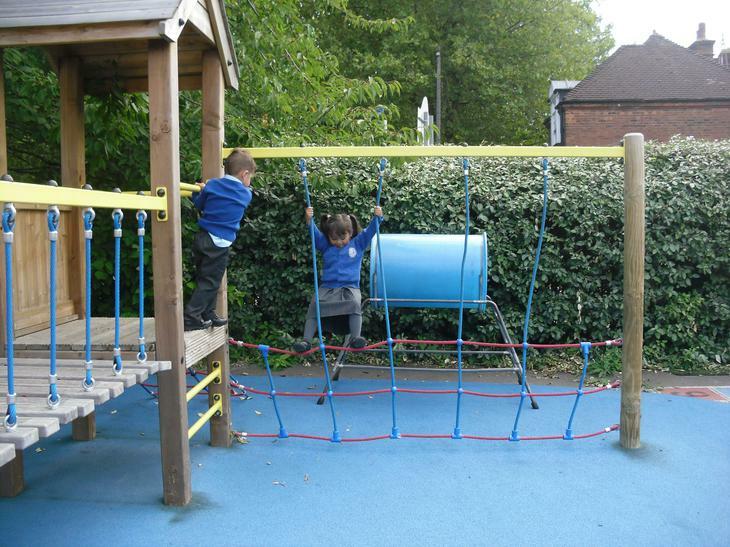 Reception have been enjoying the beautiful weather and exploring their new classroom! 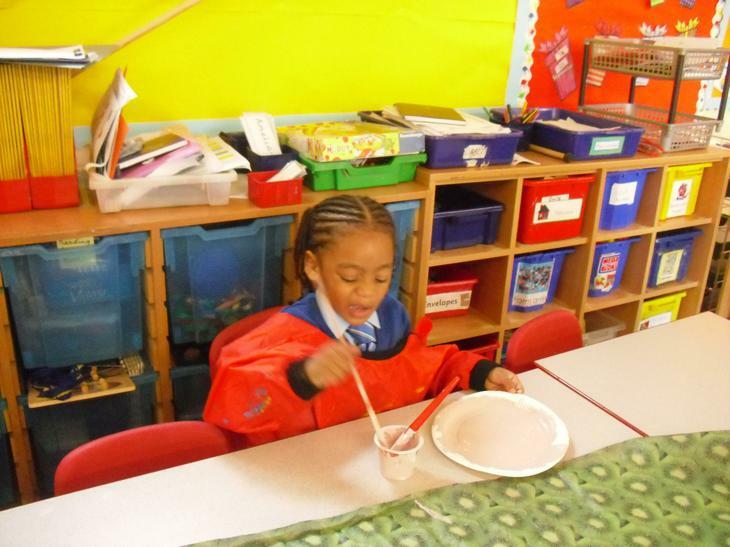 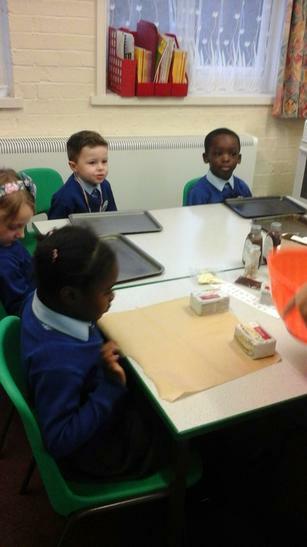 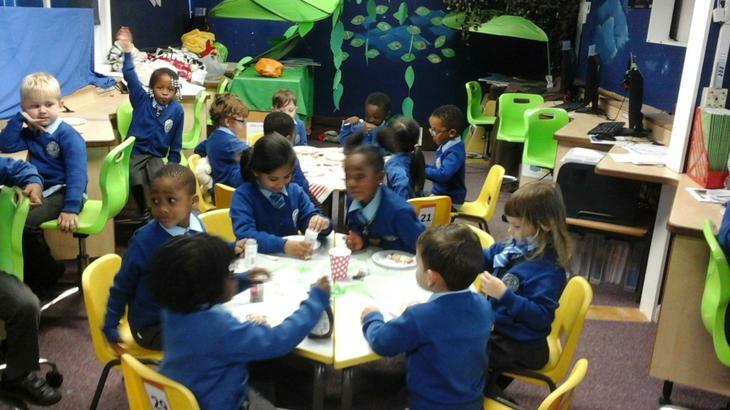 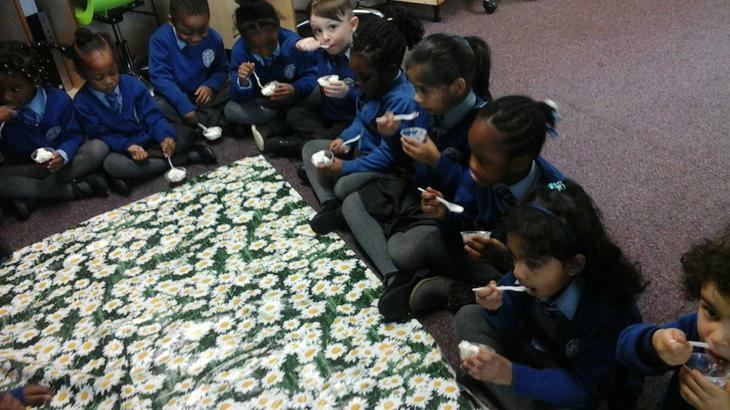 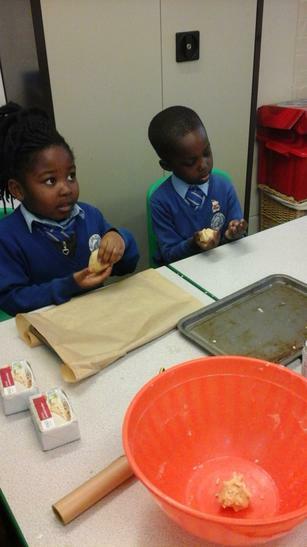 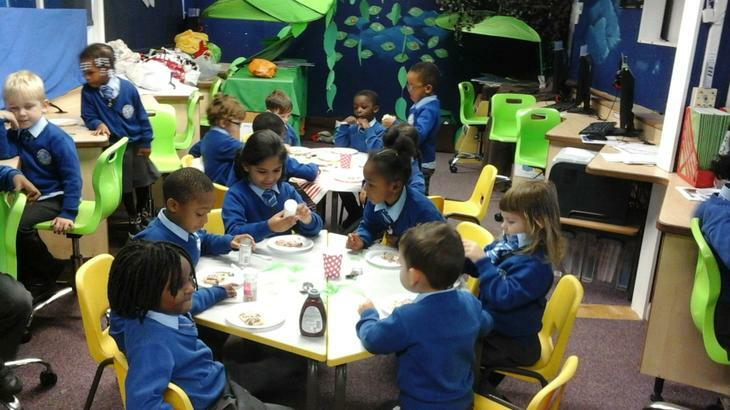 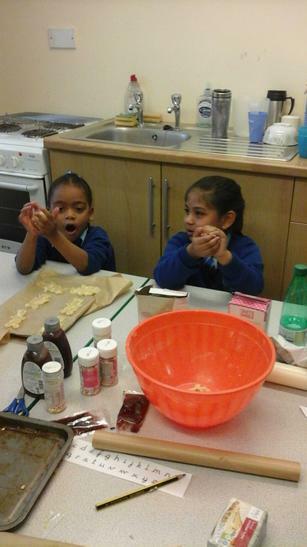 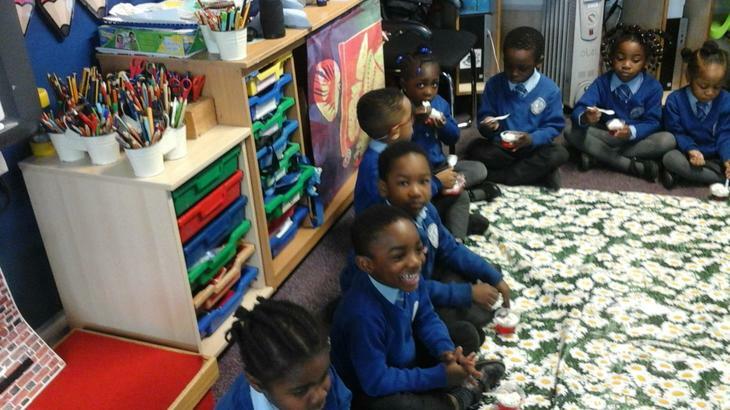 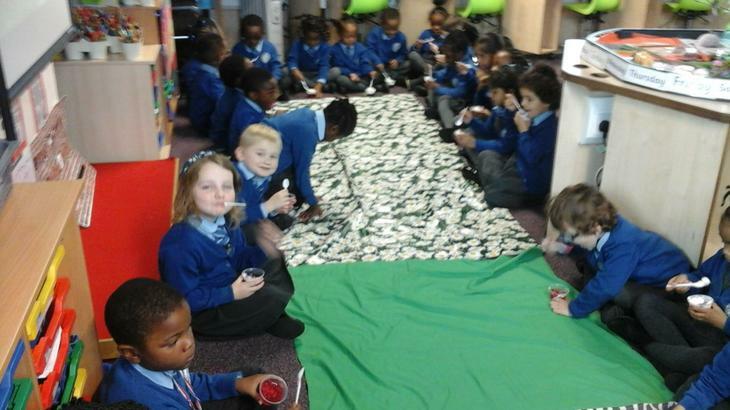 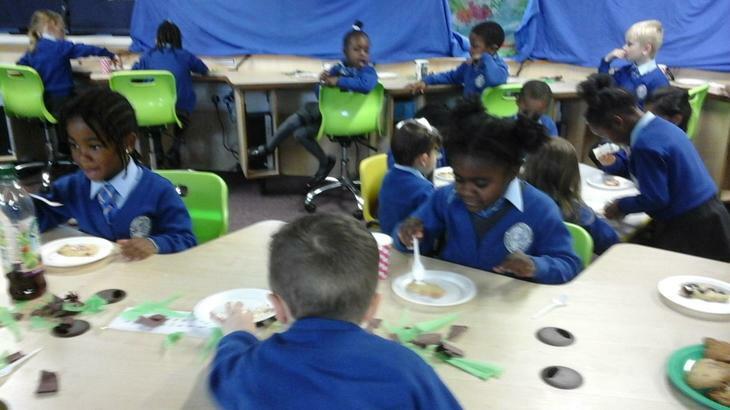 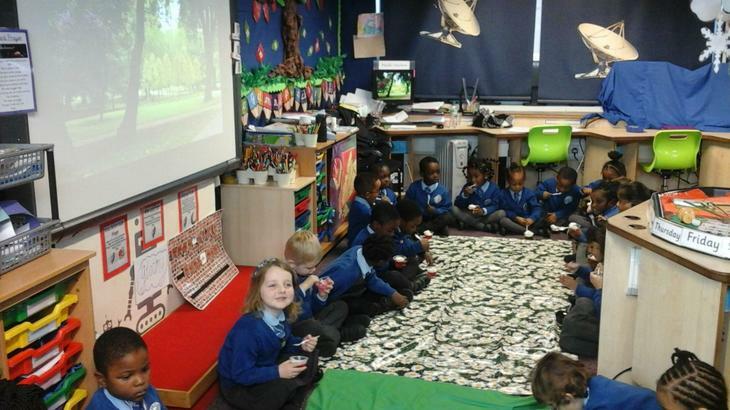 As part of our topic, Changes, Reception made jelly, we then had a picnic where we enjoyed eating all our hard work! 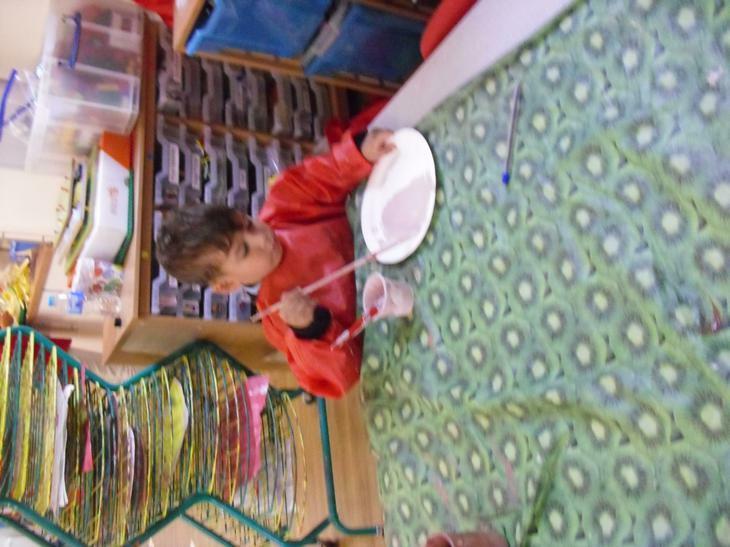 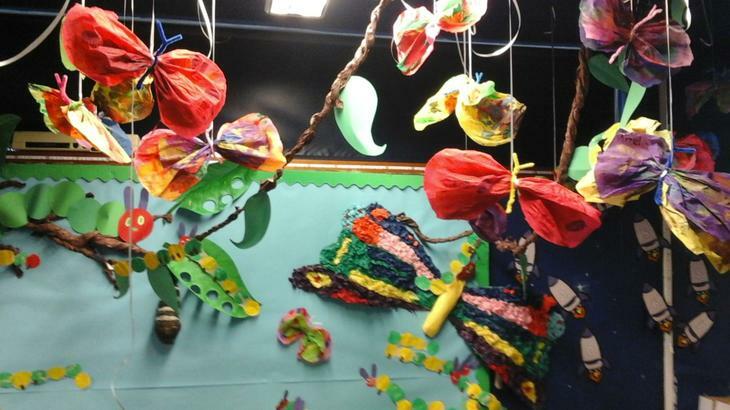 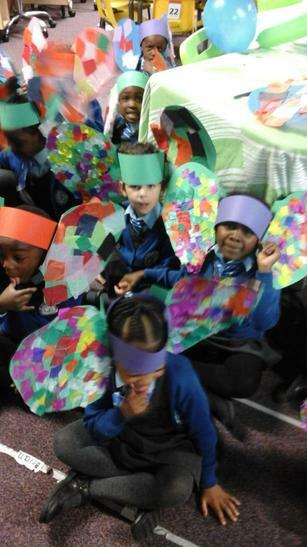 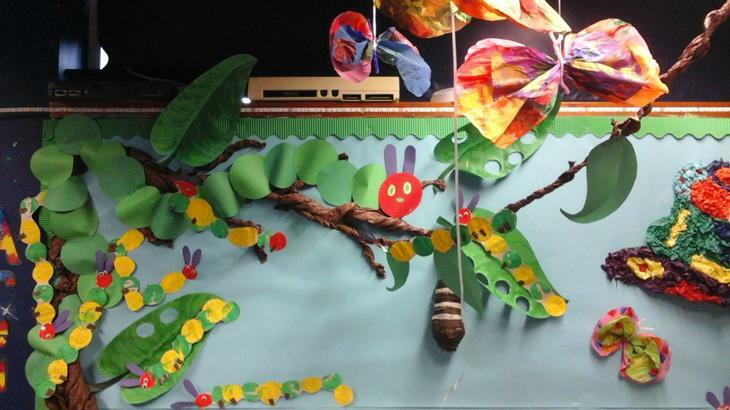 As part of our topic 'Changes' Reception have been learning about 'The Very Hungry Caterpillar', they made their own caterpillars, and experimented with water colours to make beautiful butterflies! 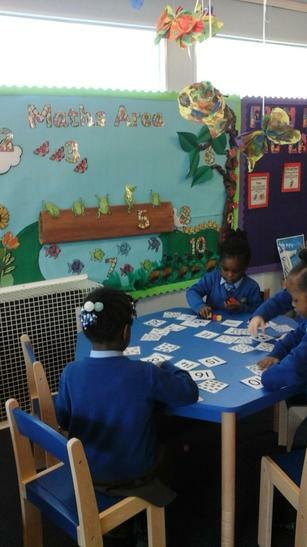 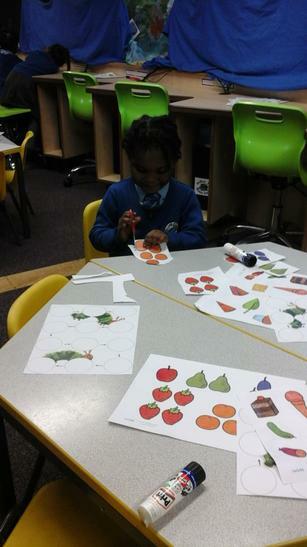 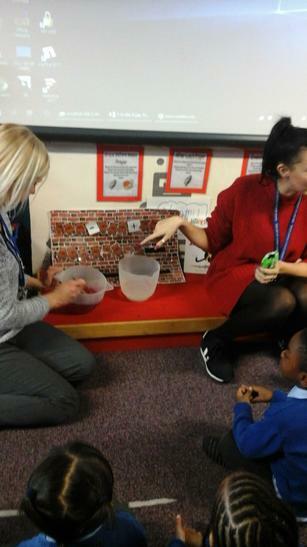 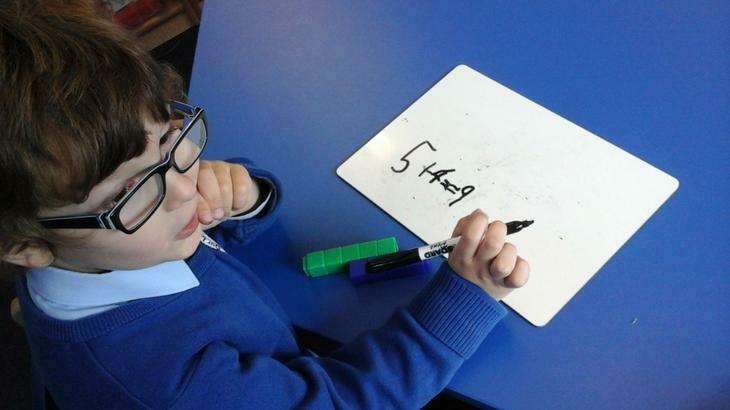 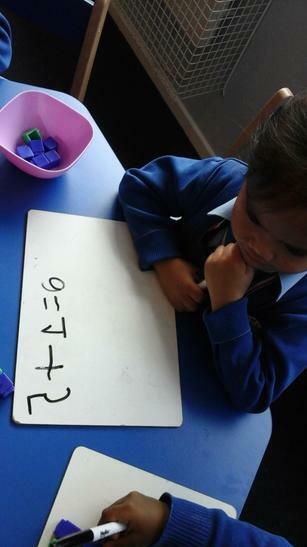 Reception have been settling back into school, learning about addition and changes! 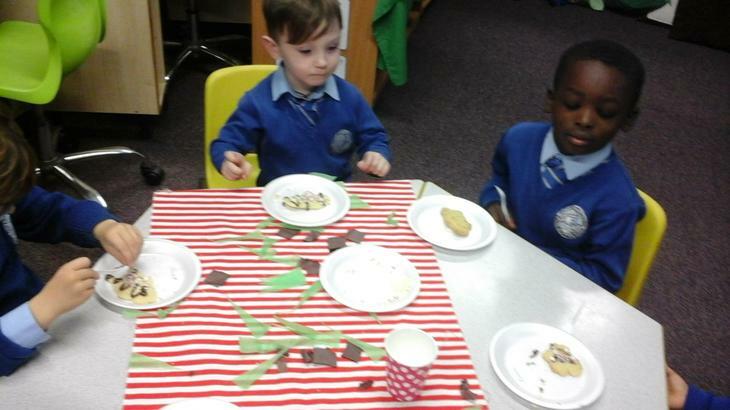 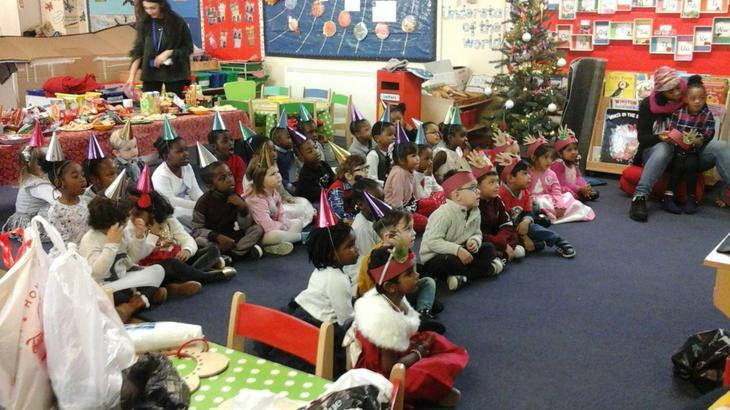 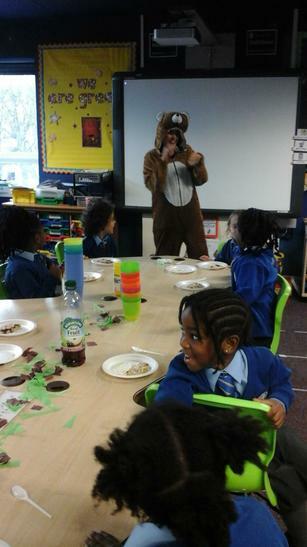 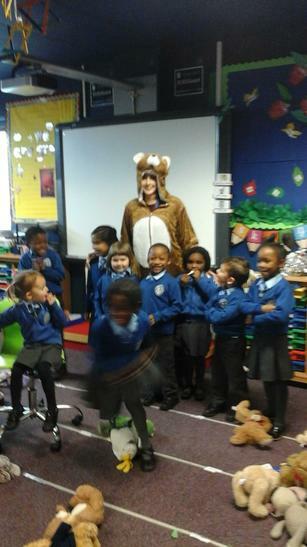 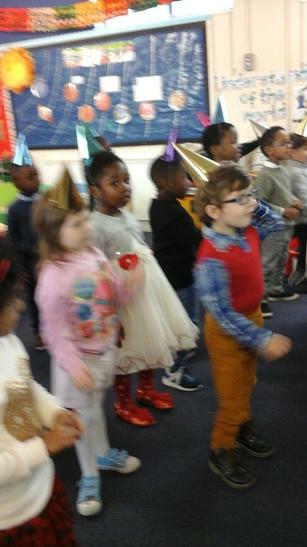 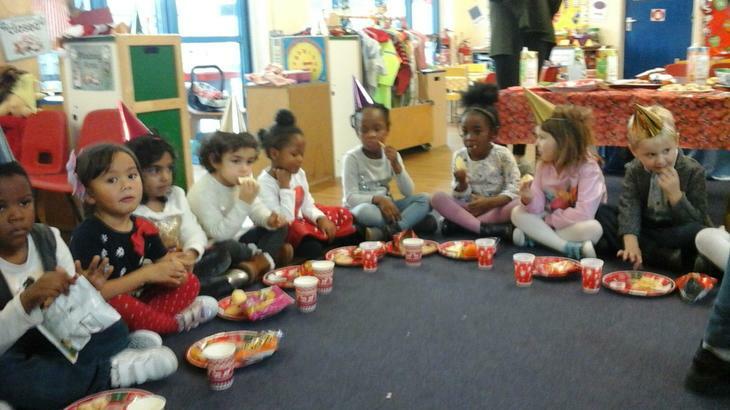 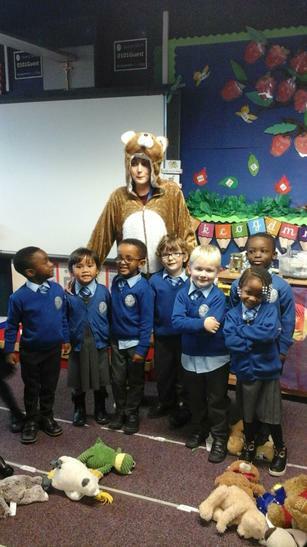 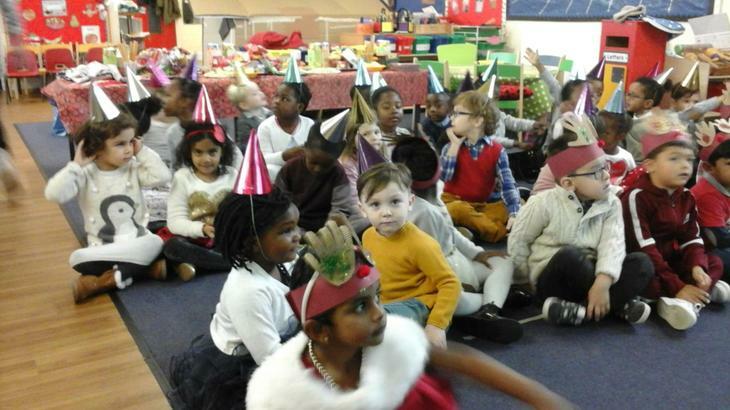 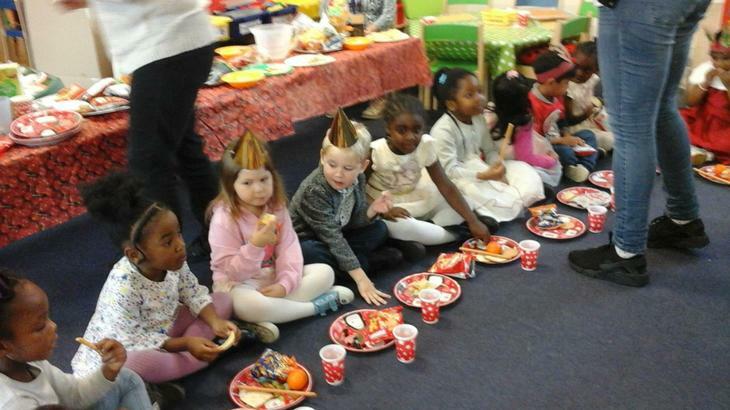 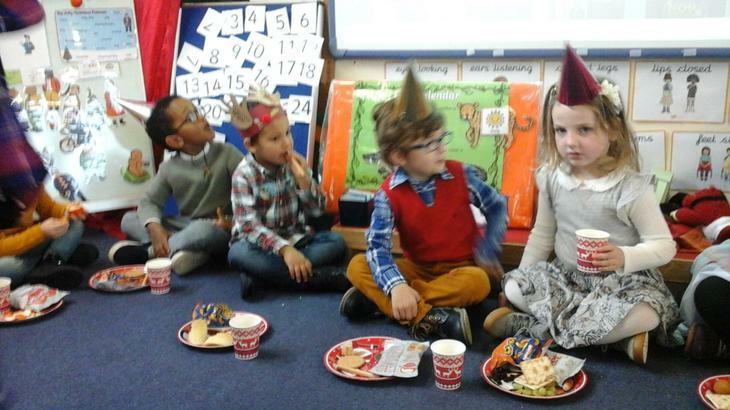 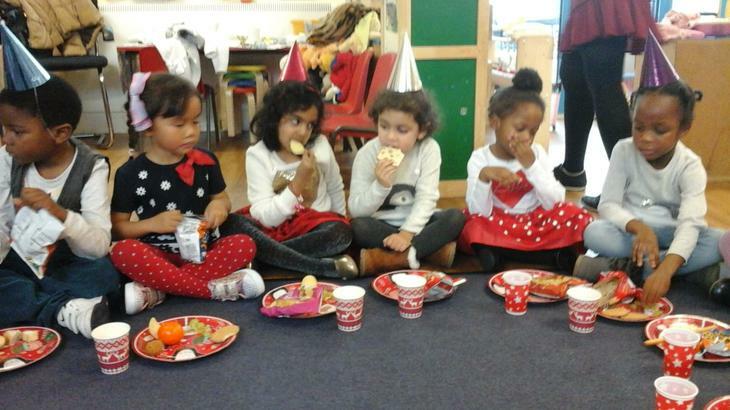 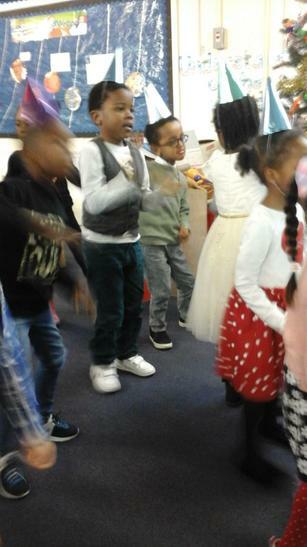 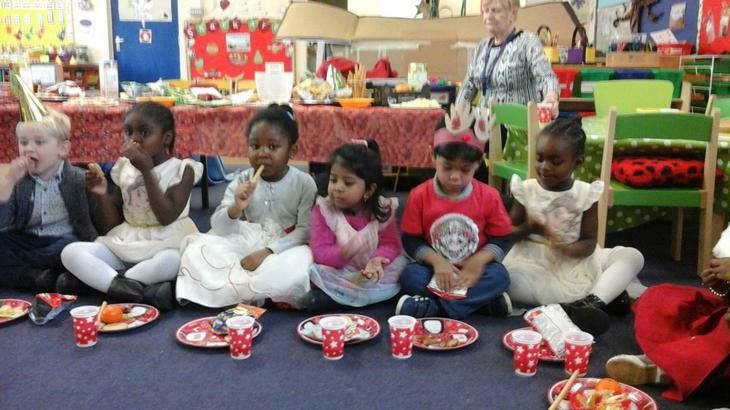 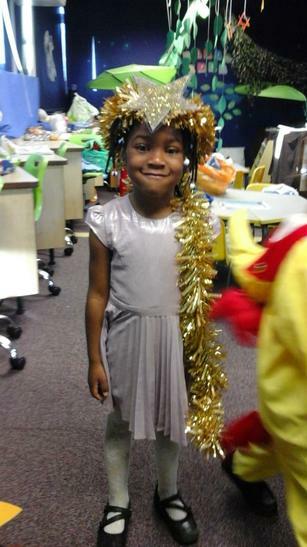 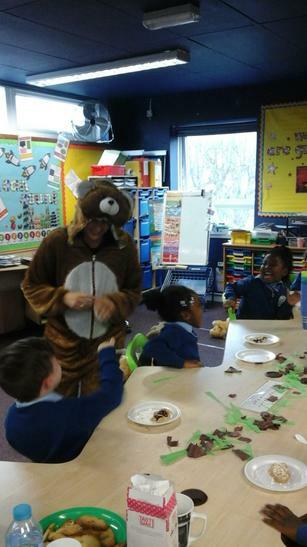 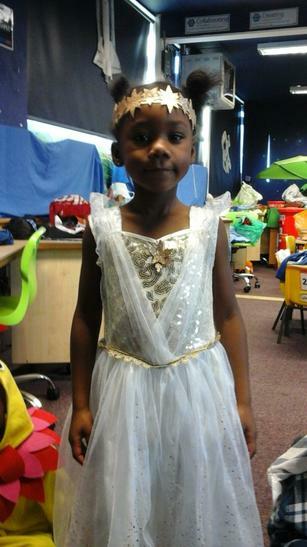 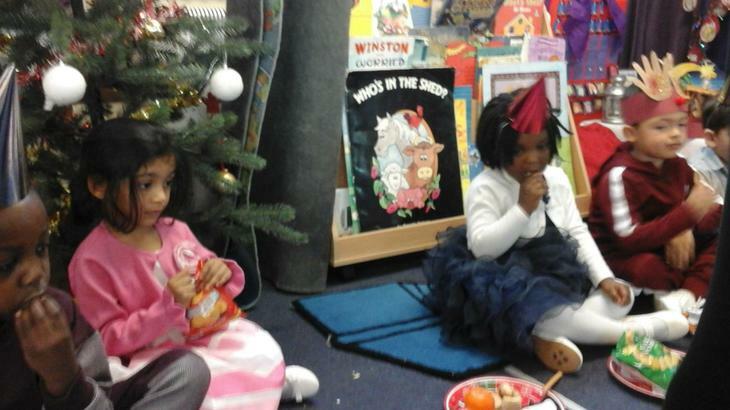 Reception and Nursery had an amazing Christmas Party! 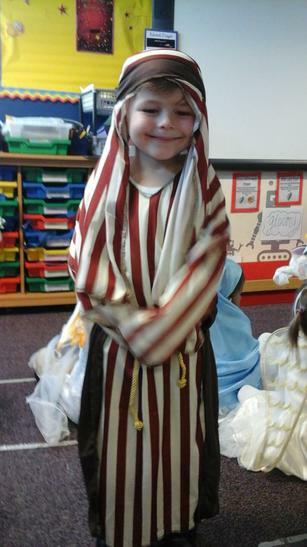 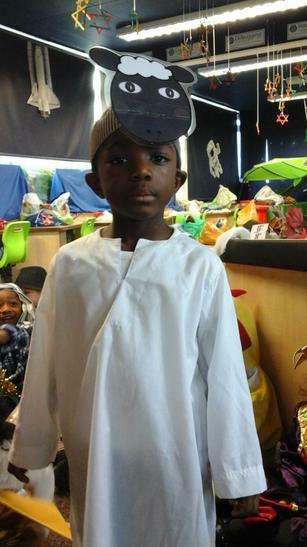 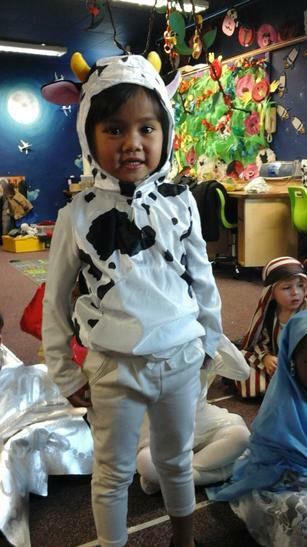 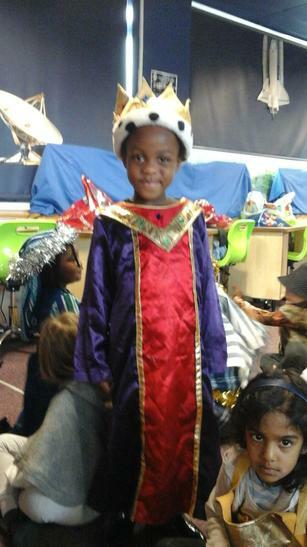 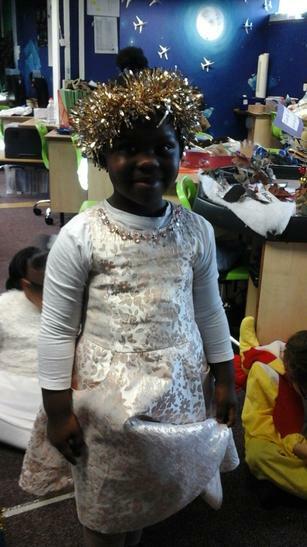 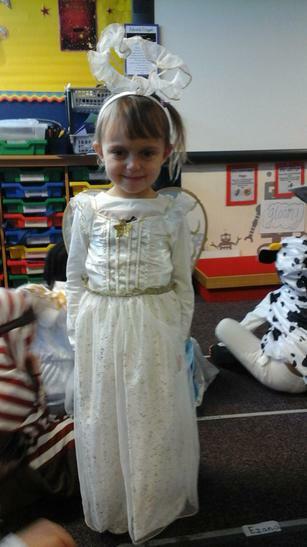 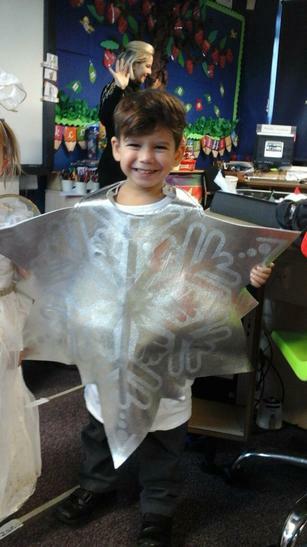 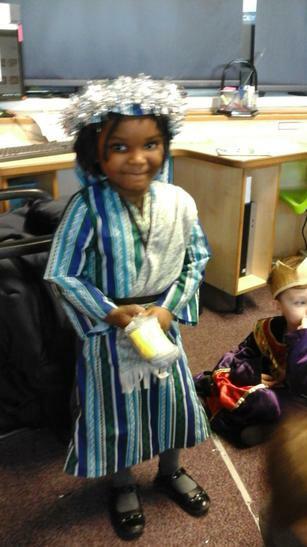 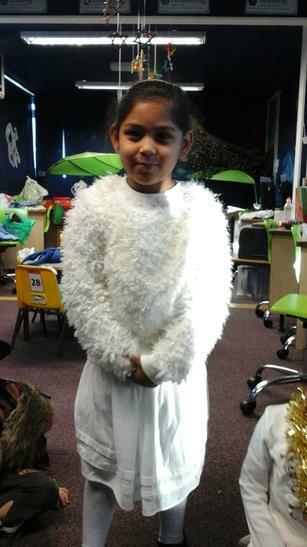 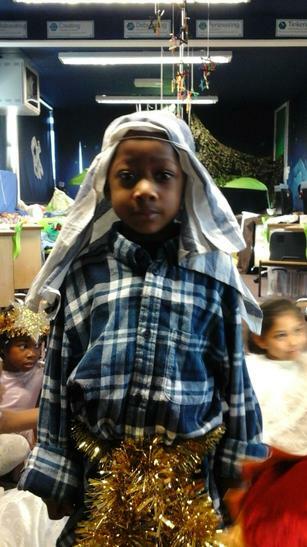 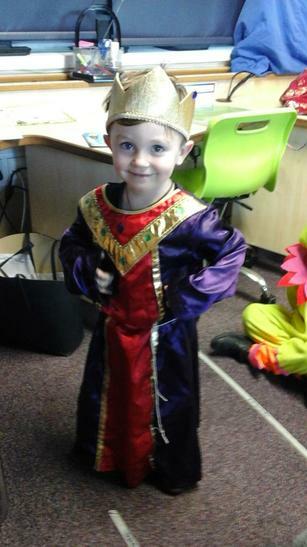 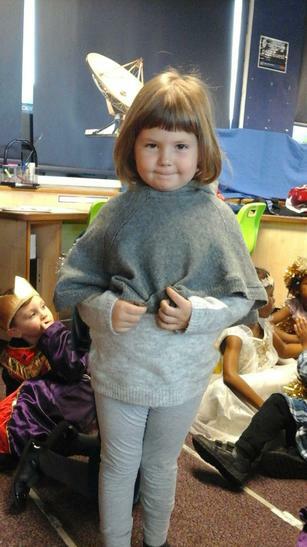 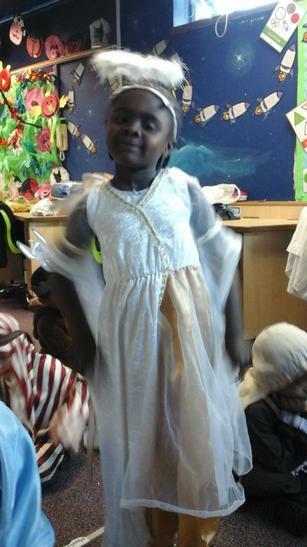 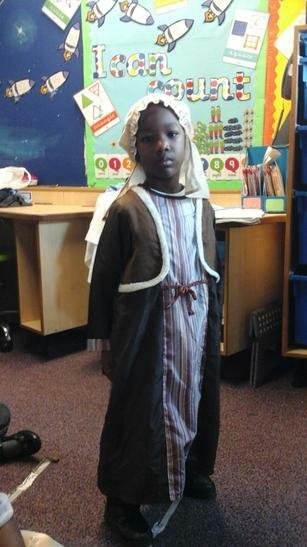 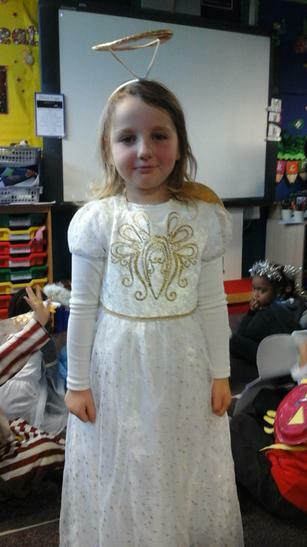 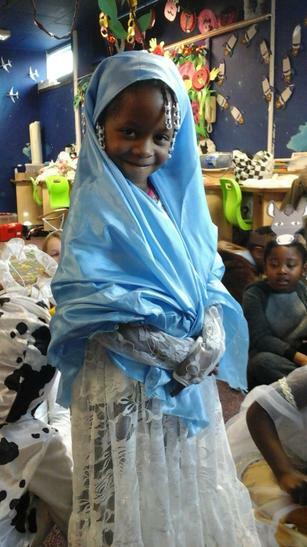 Reception have been preparing for their Nativity! 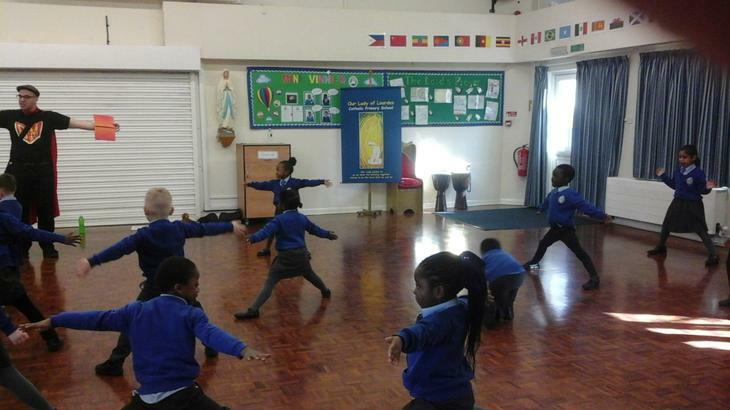 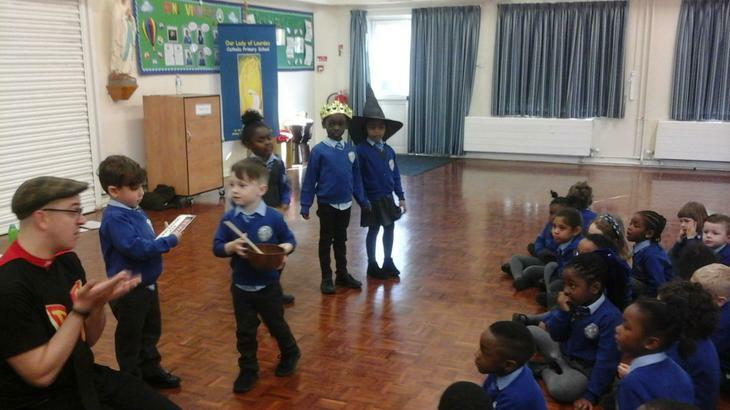 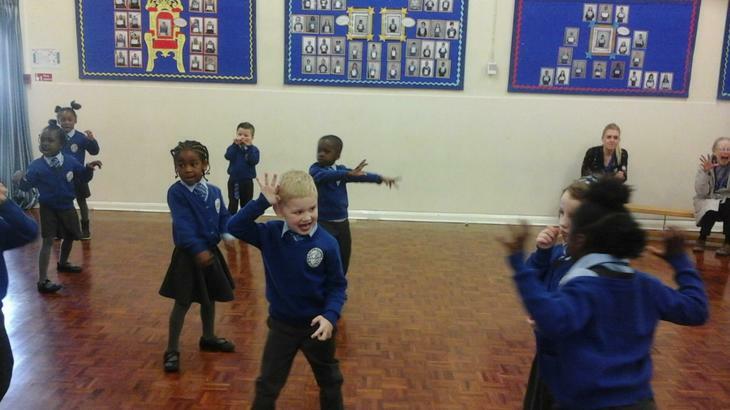 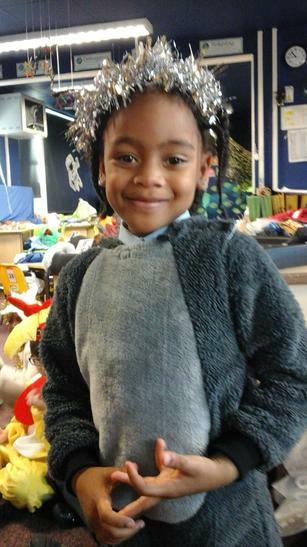 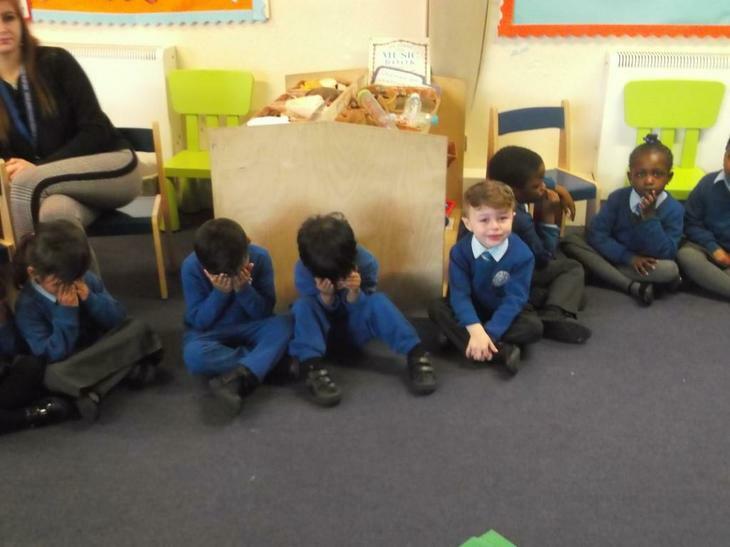 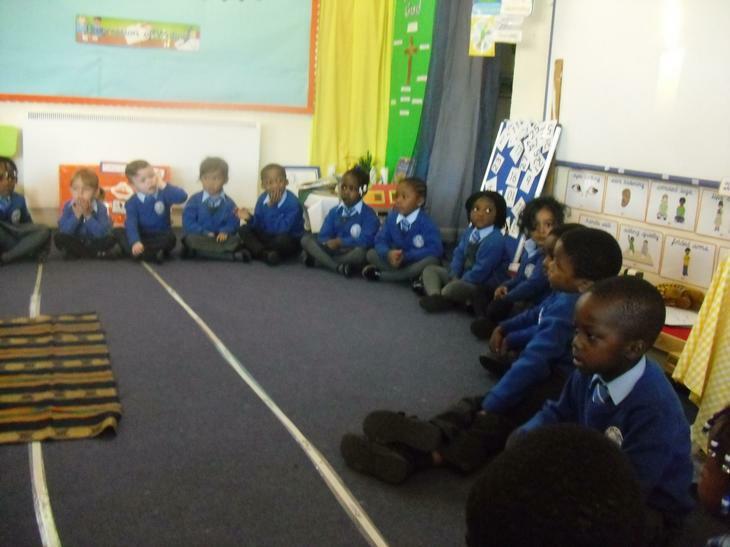 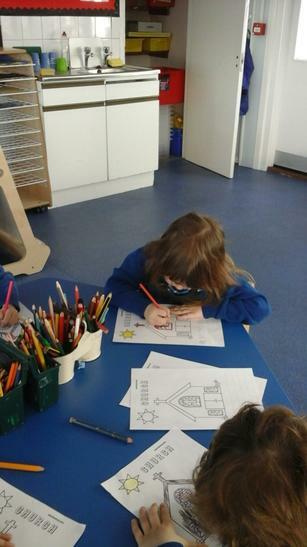 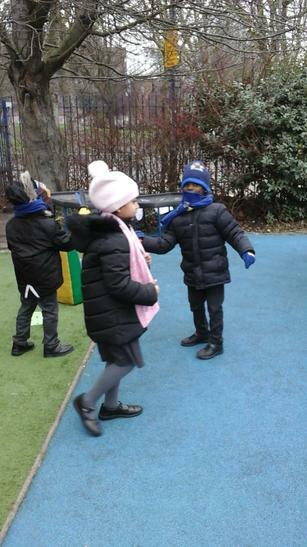 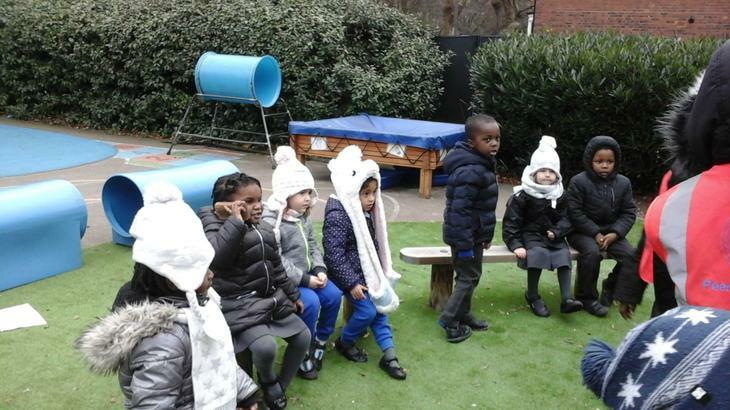 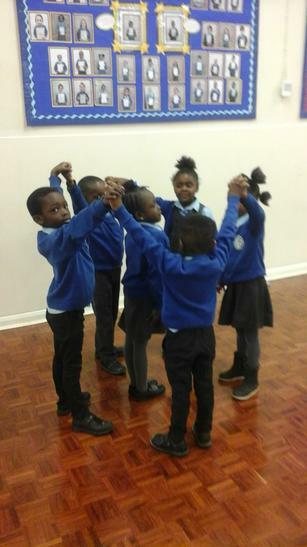 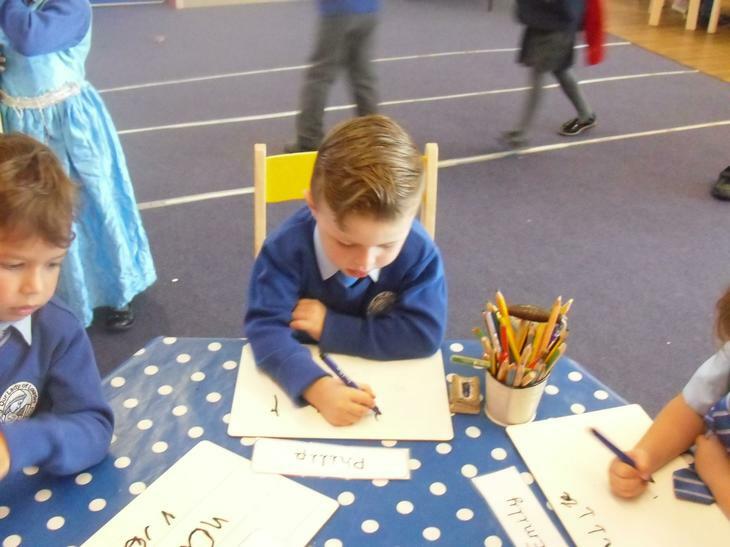 Reception have been learning the story 'We're going on a Bear Hunt', we have been acting out our story, making patterns using bears and writing our own story-maps! 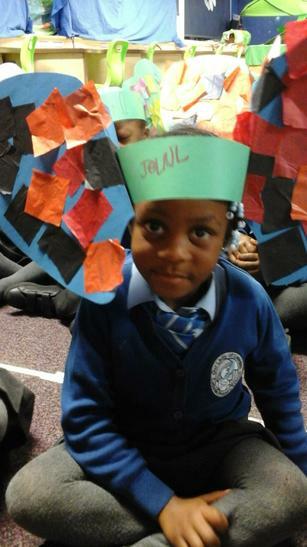 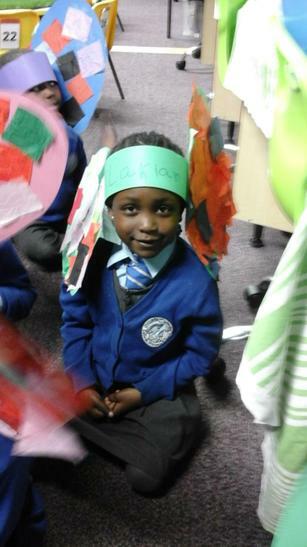 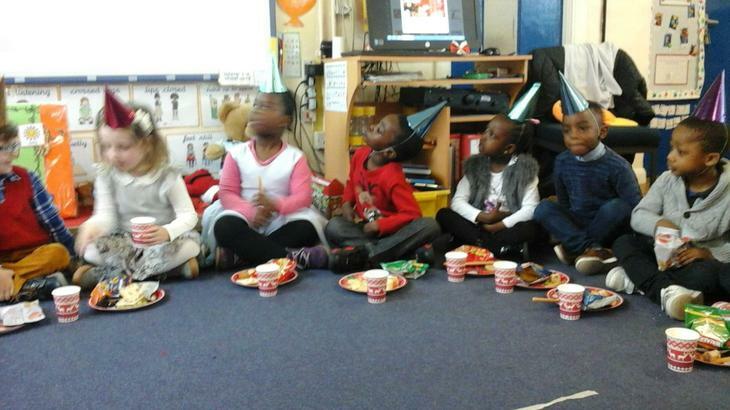 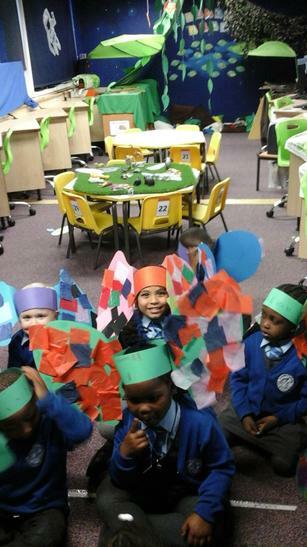 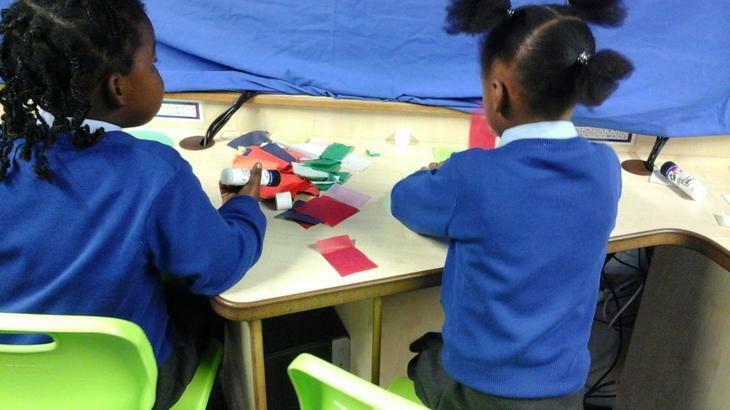 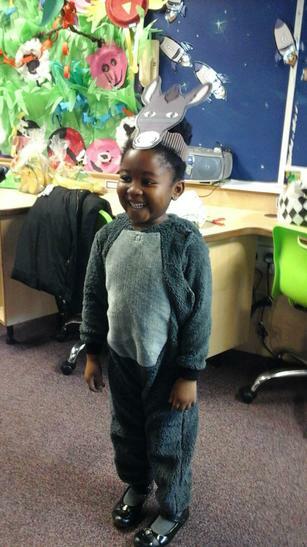 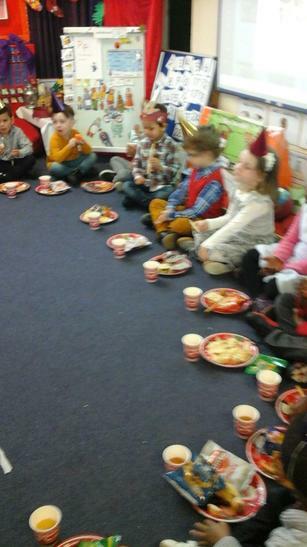 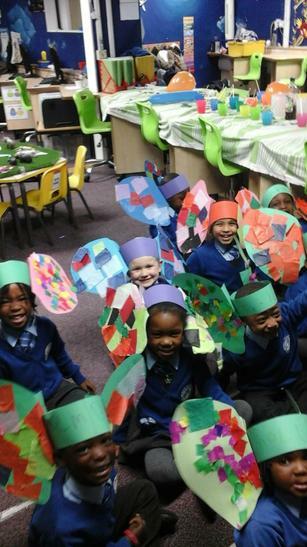 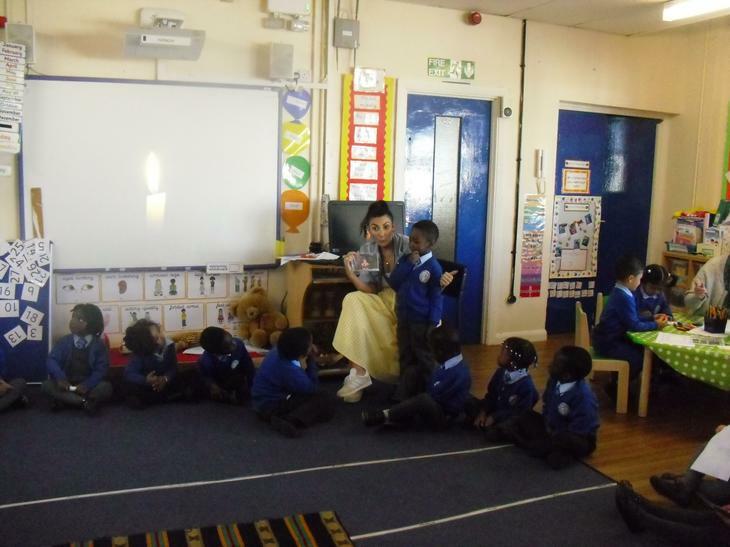 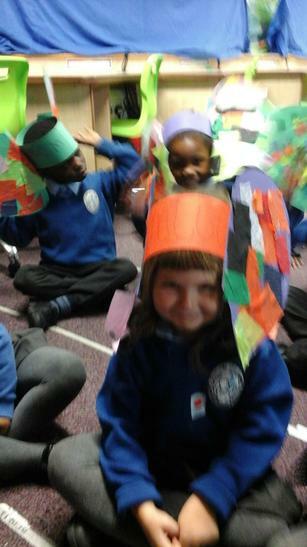 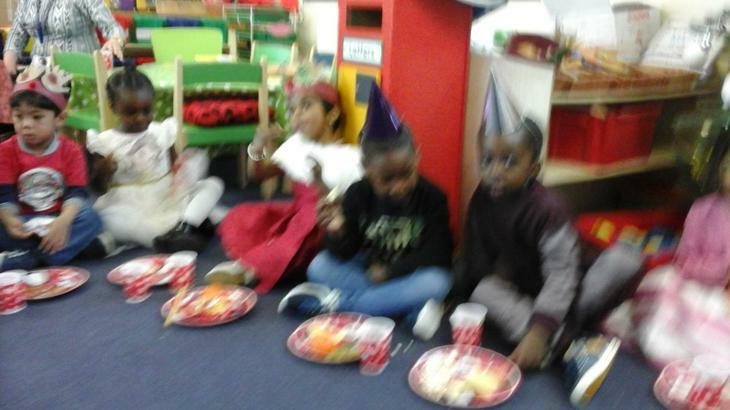 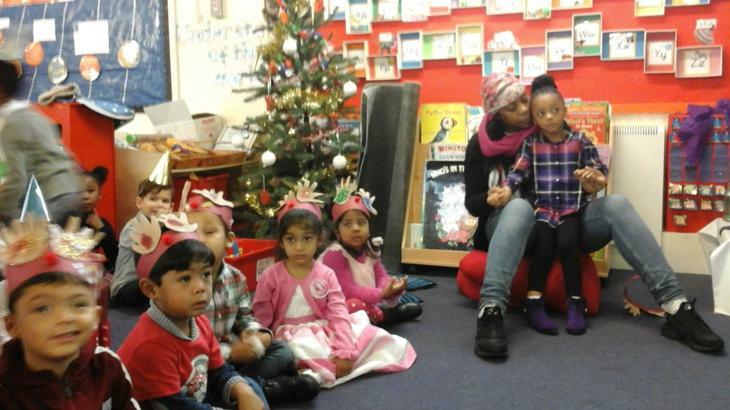 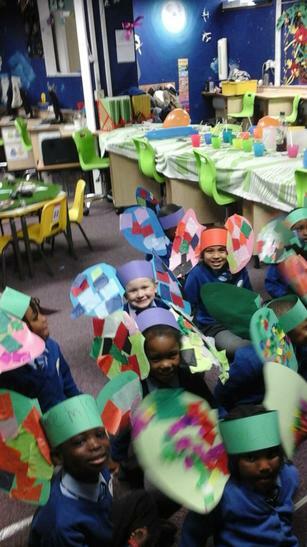 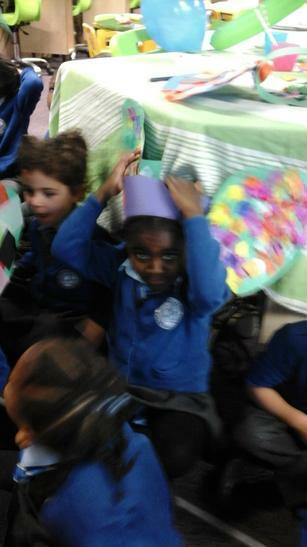 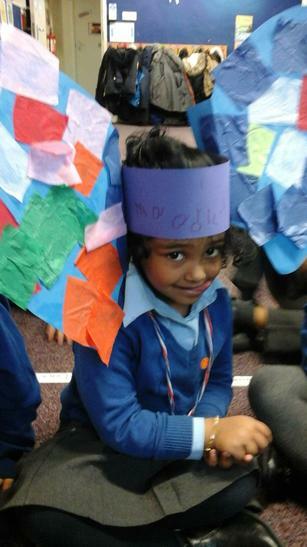 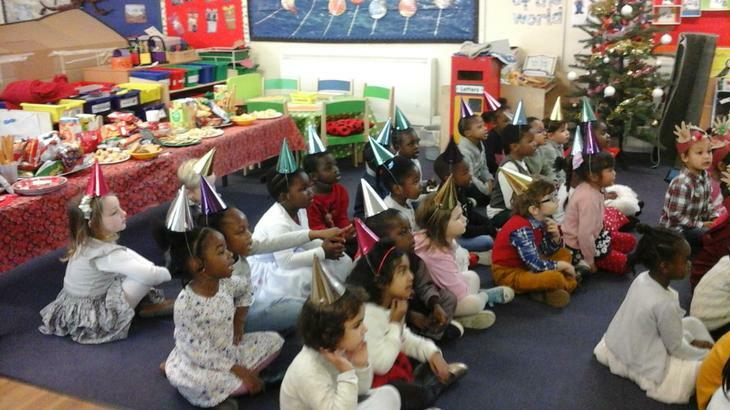 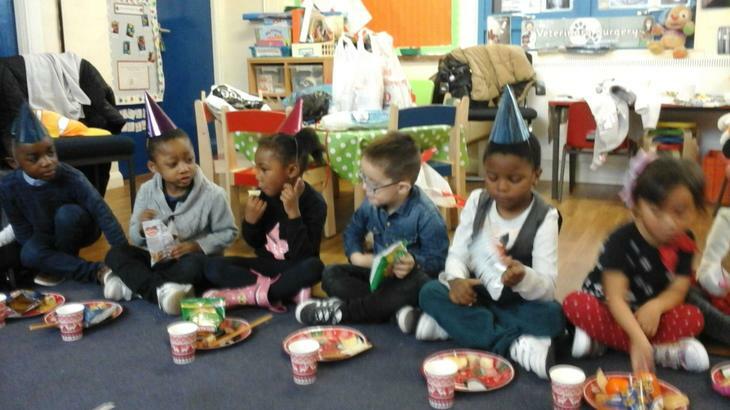 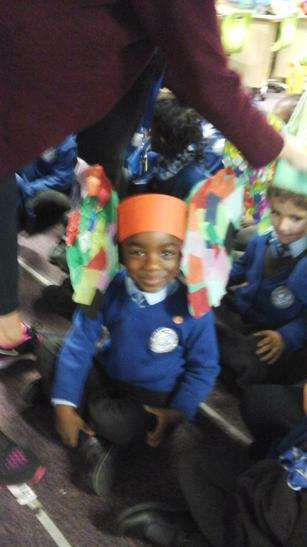 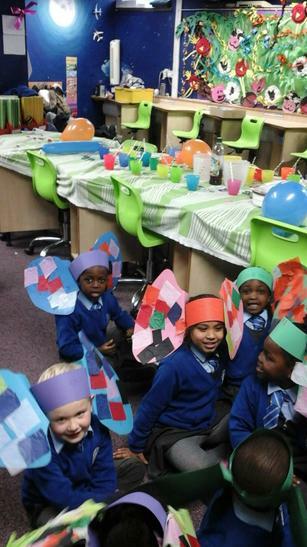 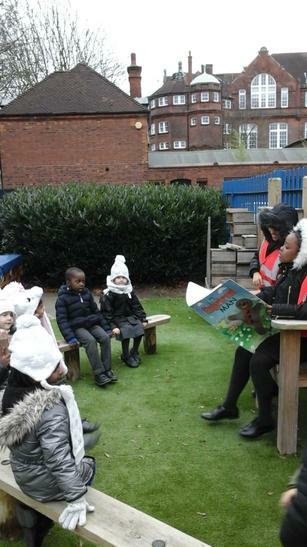 Reception have been reading Elmer the Elephant, to celebrate Elmer's Day the class made elephant hats and had a party! 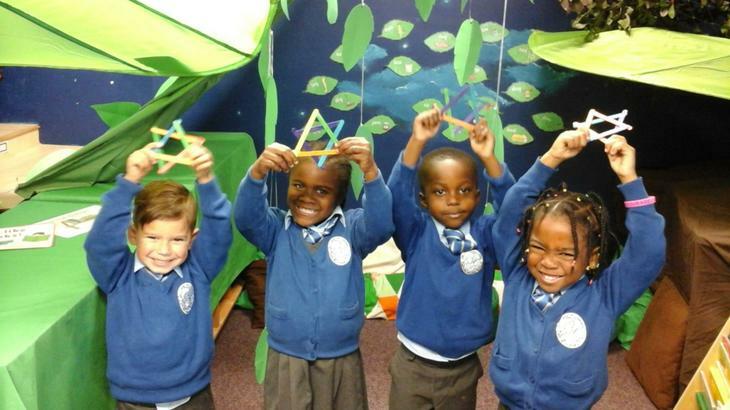 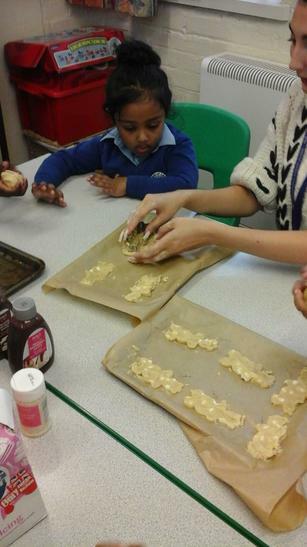 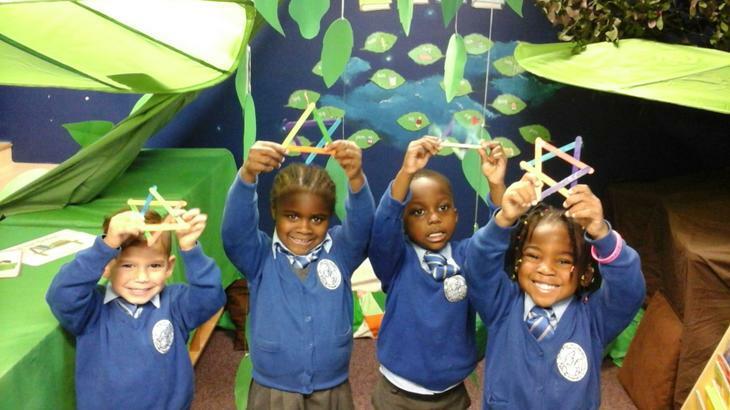 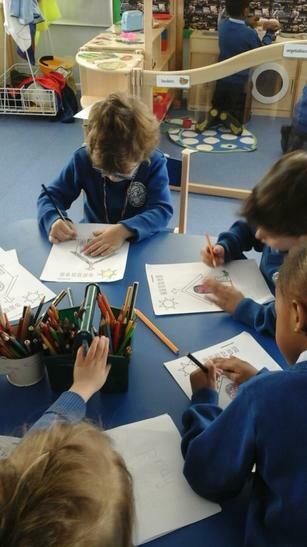 This week we have been settling into our new classroom and learning about Judaism, look at the Stars of David we made! 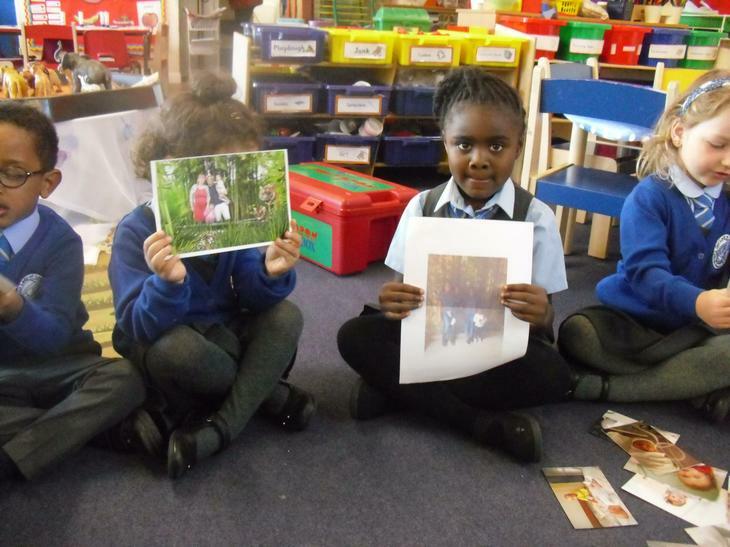 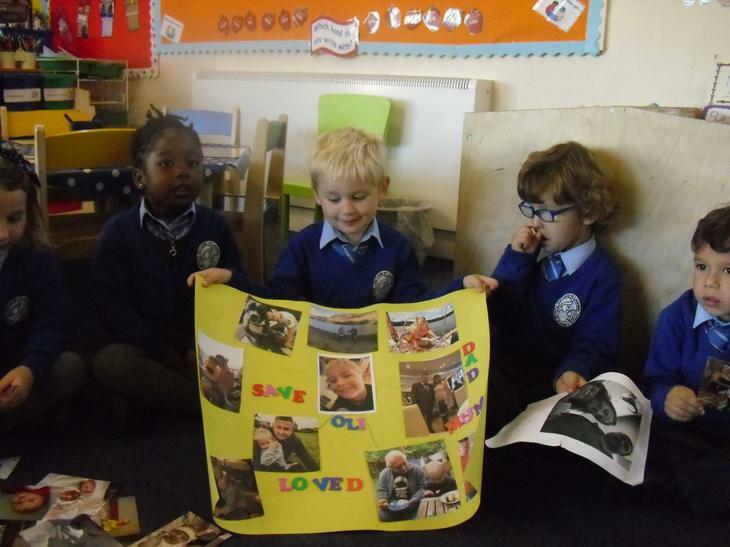 The class have been discussing their families, and how we are so thankful to God! 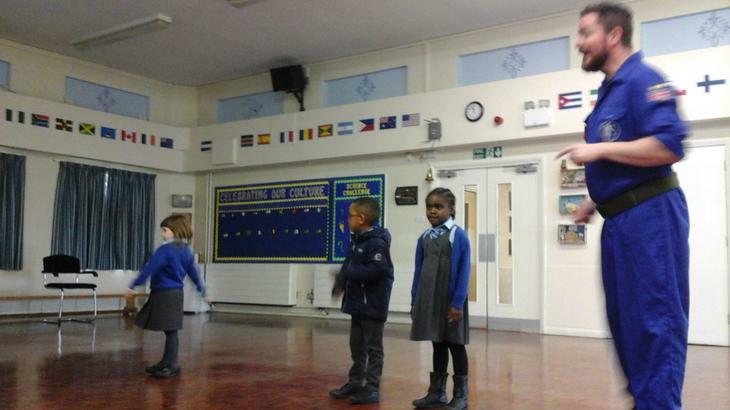 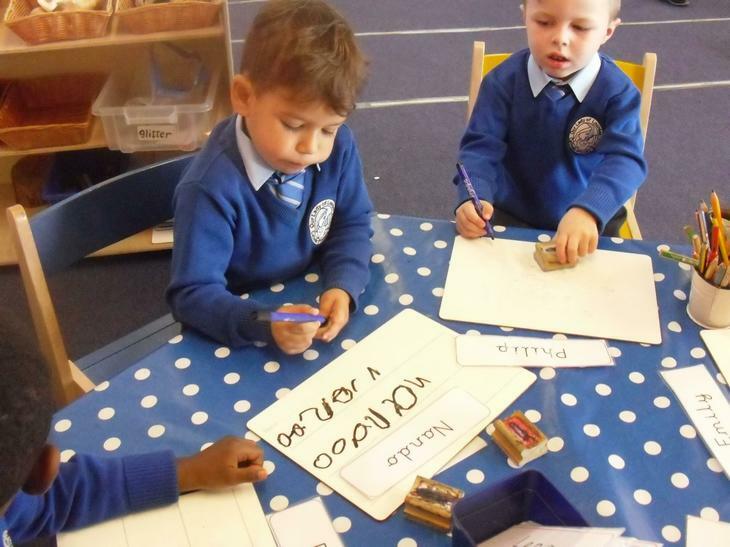 Children in Reception have been practicing their name! 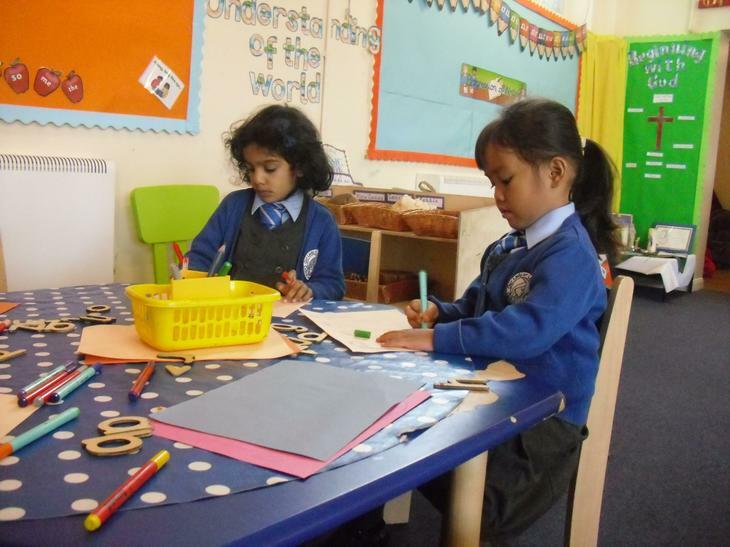 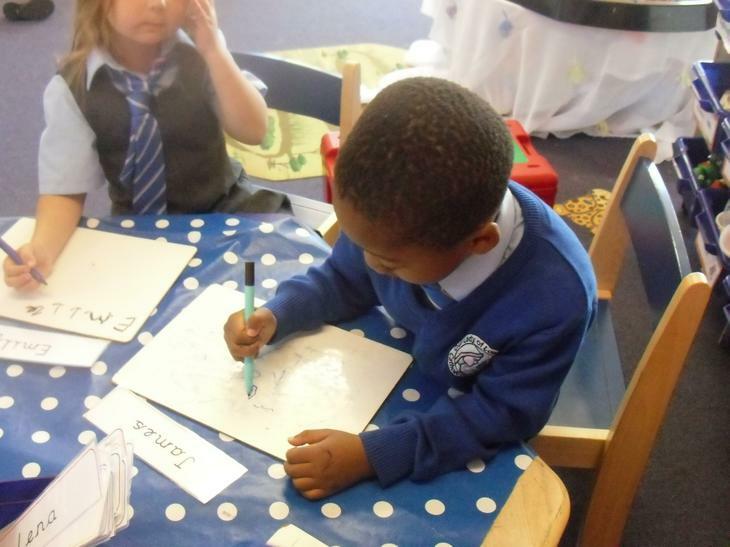 Reception have been busy exploring our writing table, solving puzzles and experimenting with shapes and patterns! 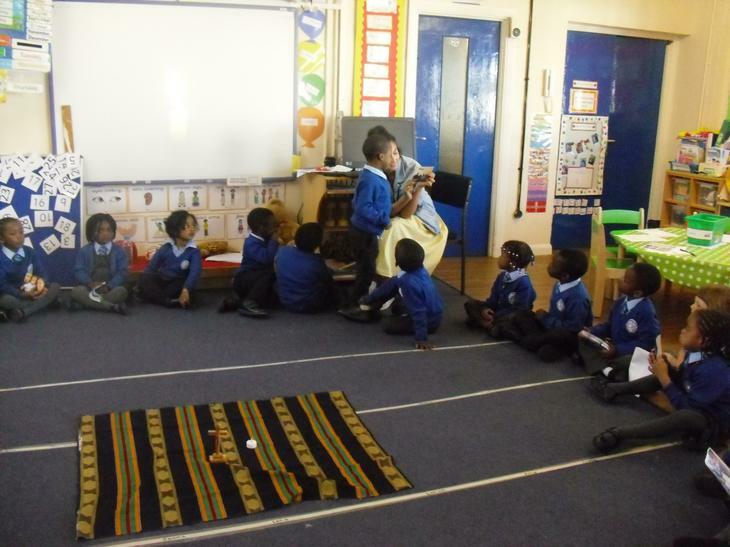 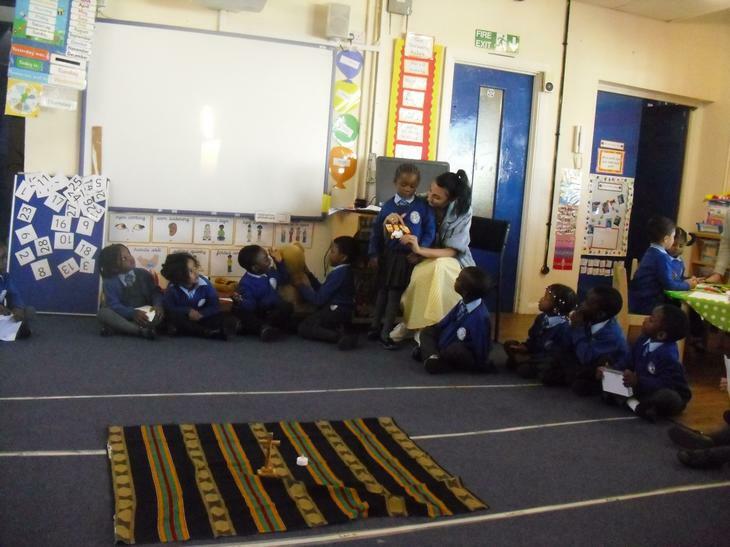 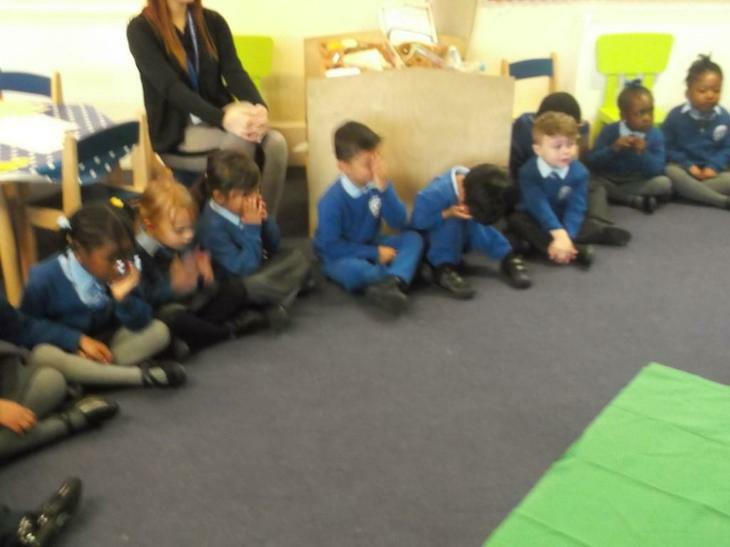 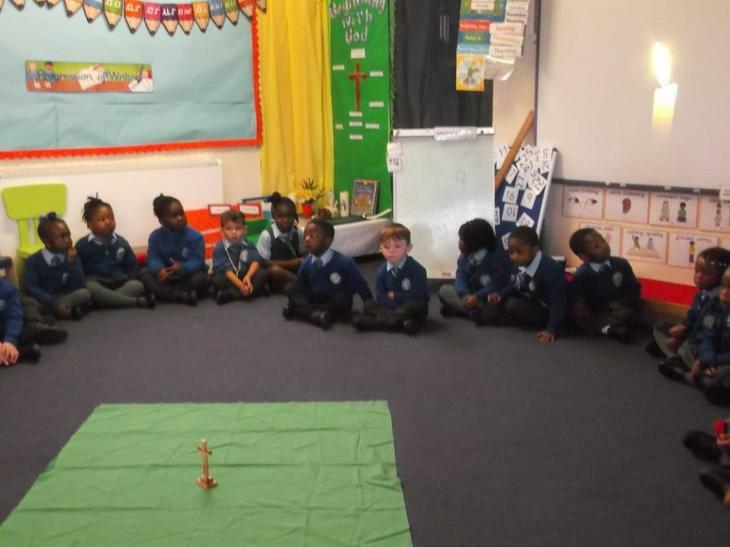 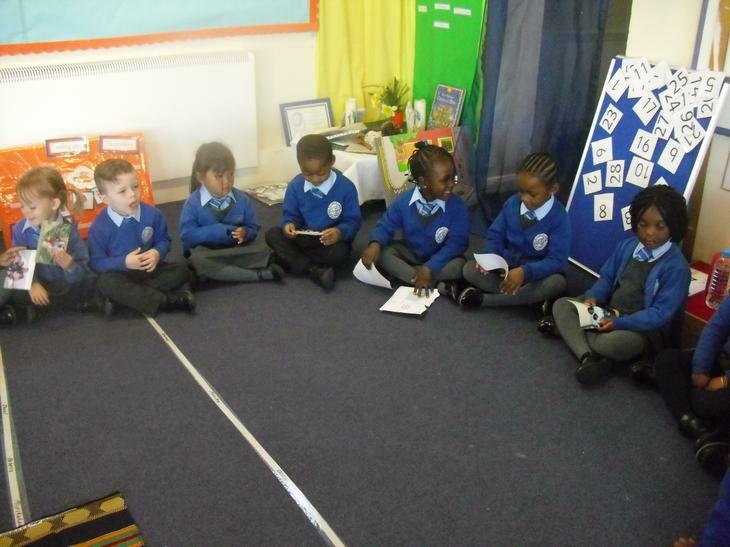 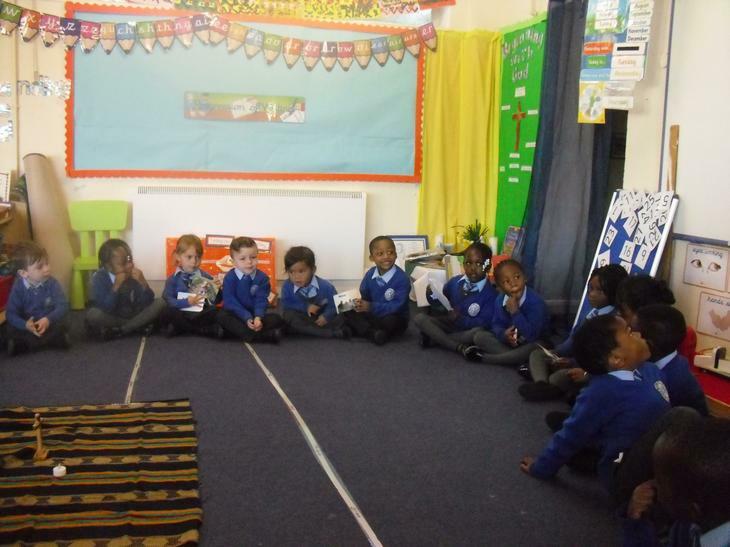 Reception and Nursery have been looking at the topic 'Beginnings with God', we have discussed our families, the Bible and the importance of prayer. 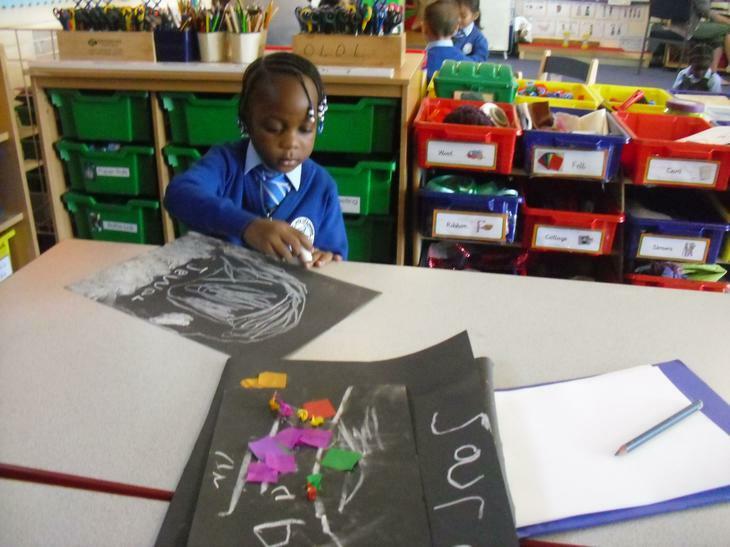 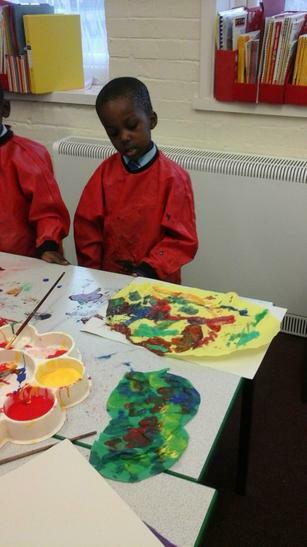 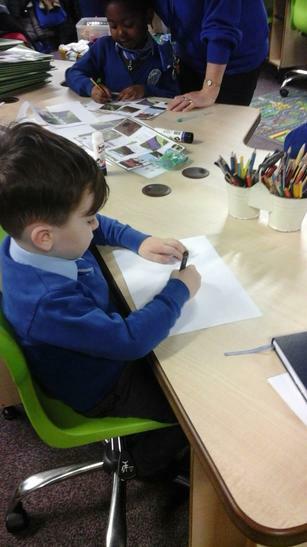 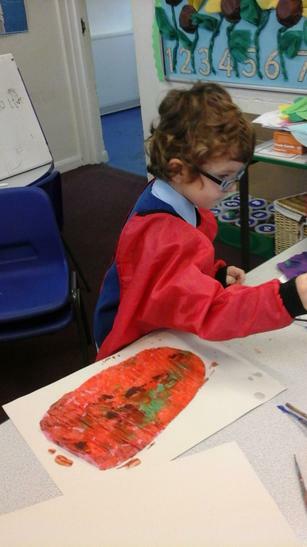 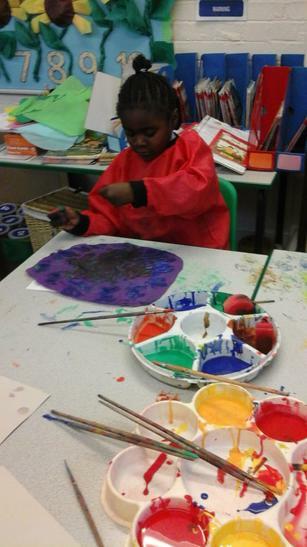 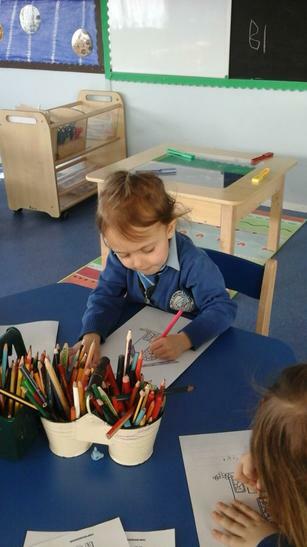 Reception have been looking at the topic 'All About Me' and have been making self portraits! 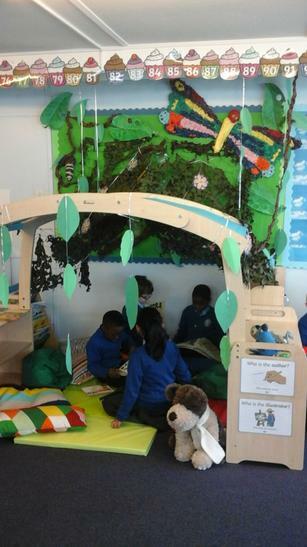 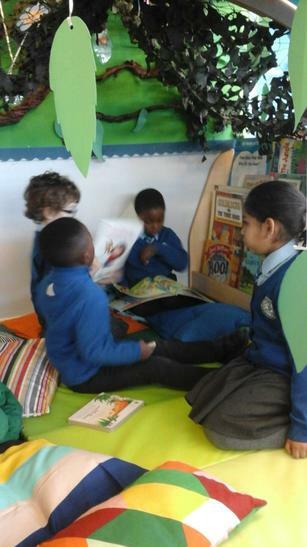 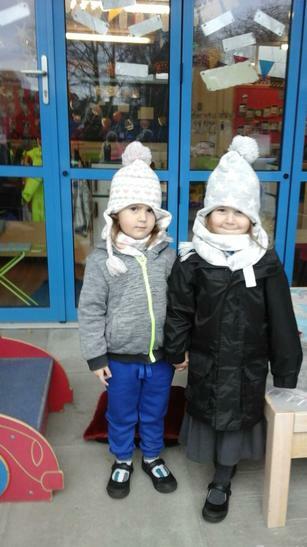 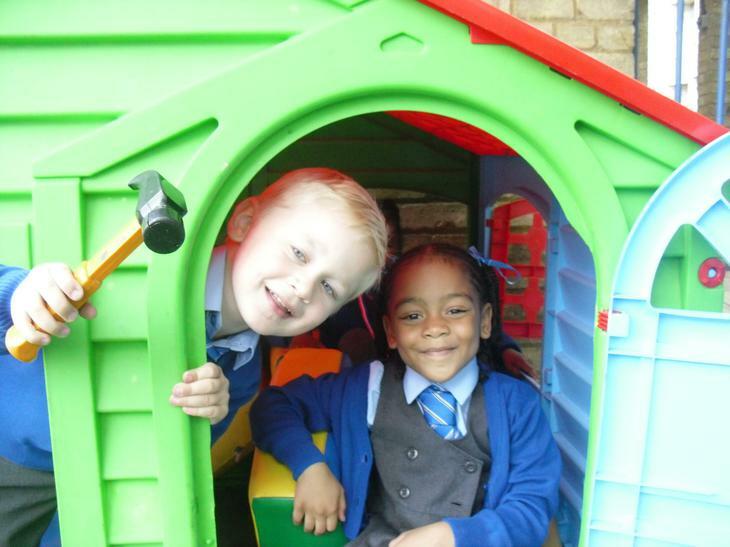 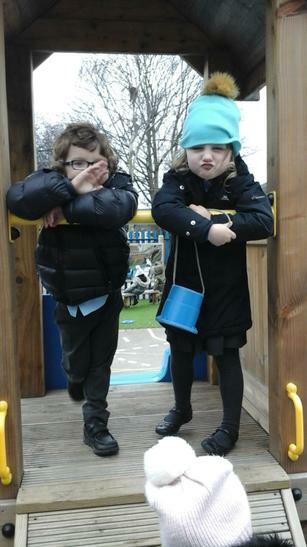 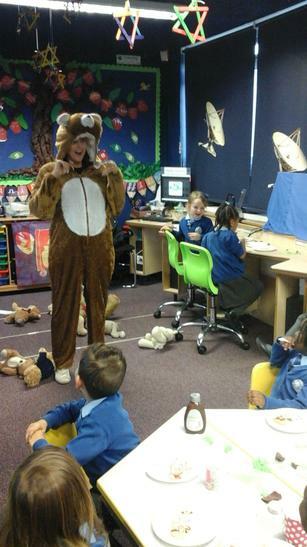 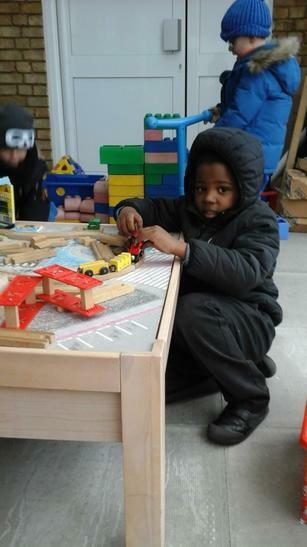 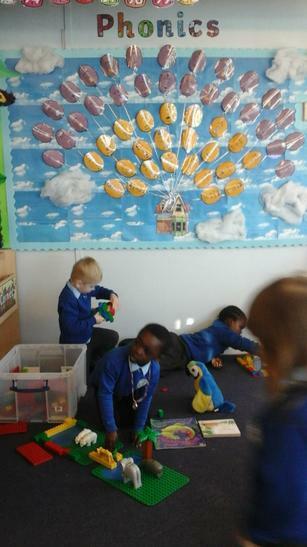 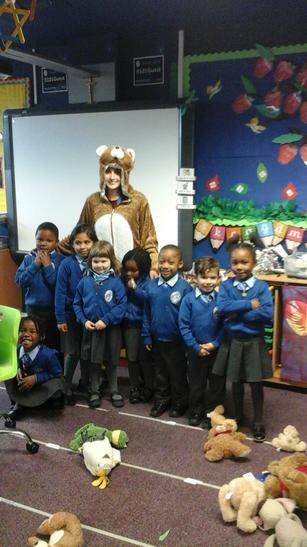 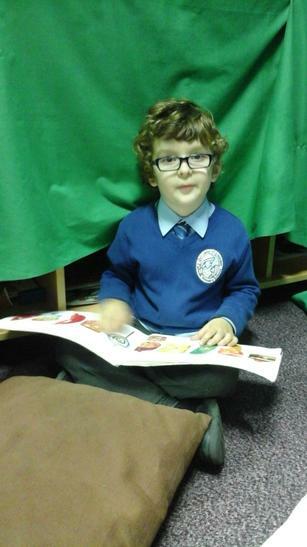 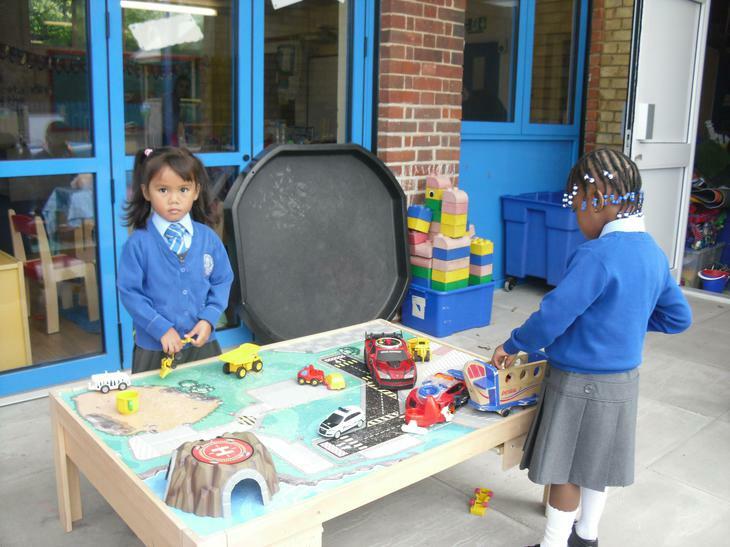 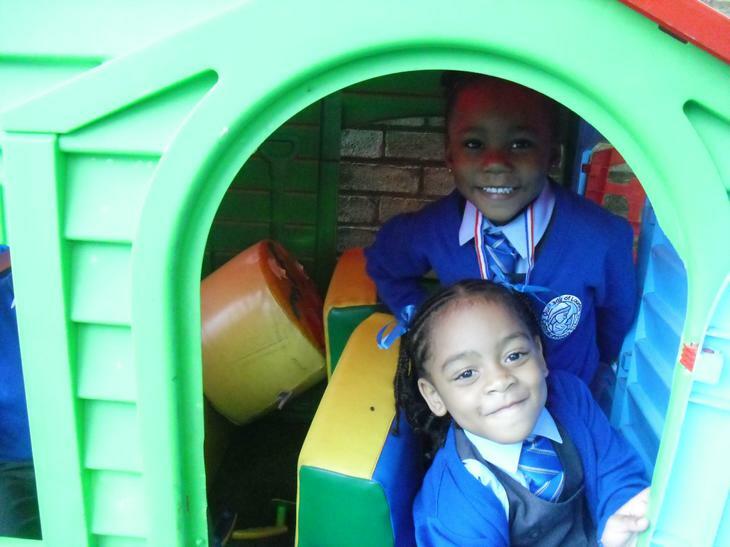 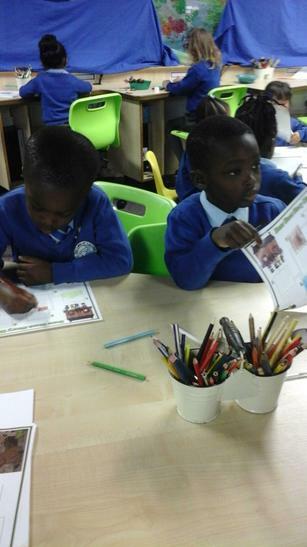 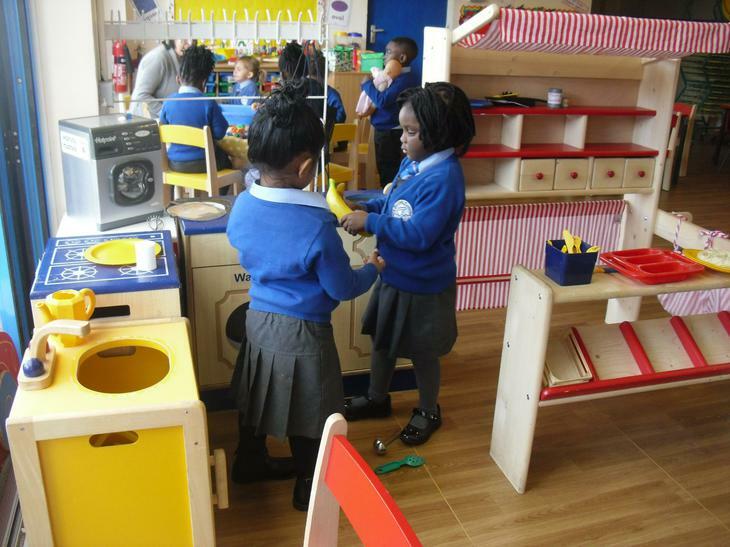 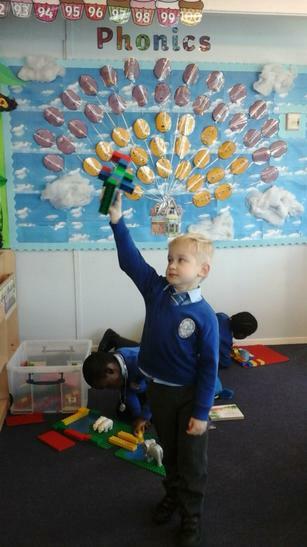 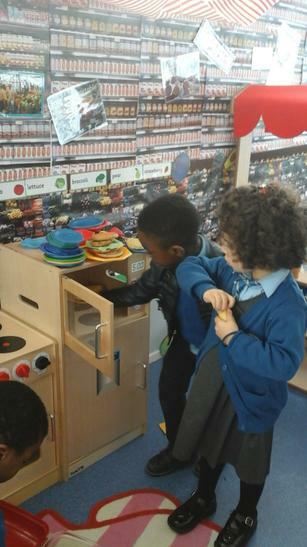 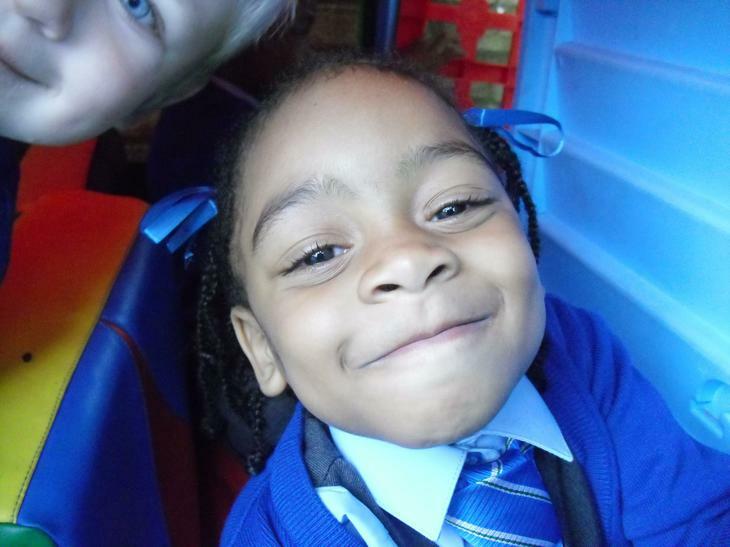 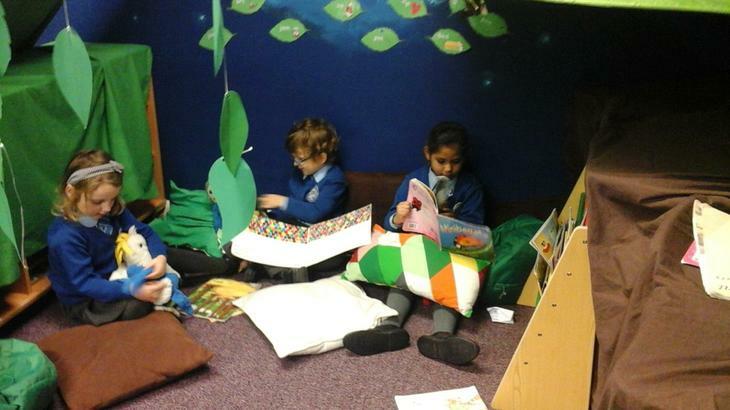 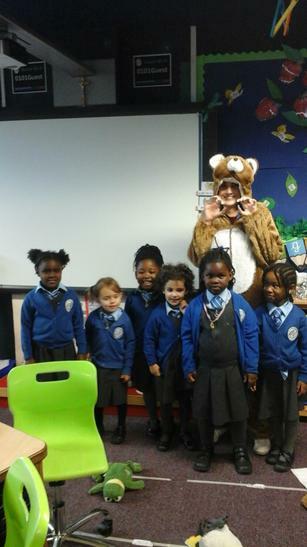 Reception have been settling into their new classroom and making lots of new friends!